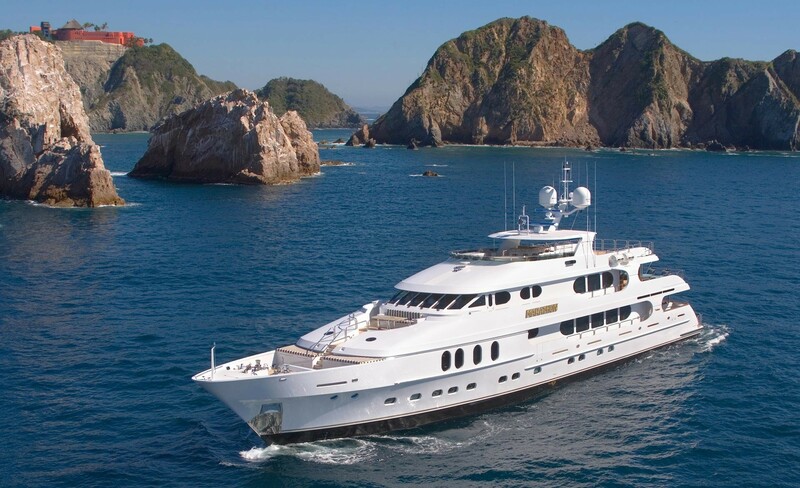 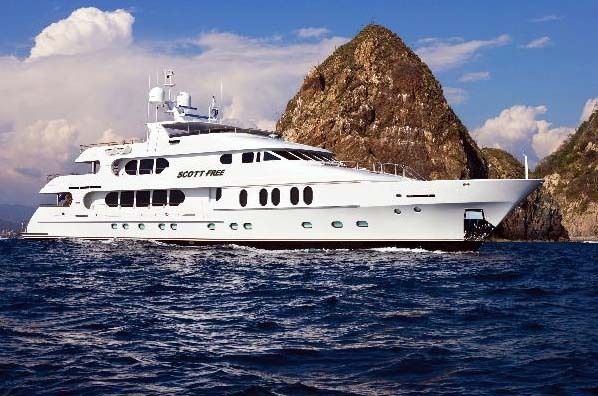 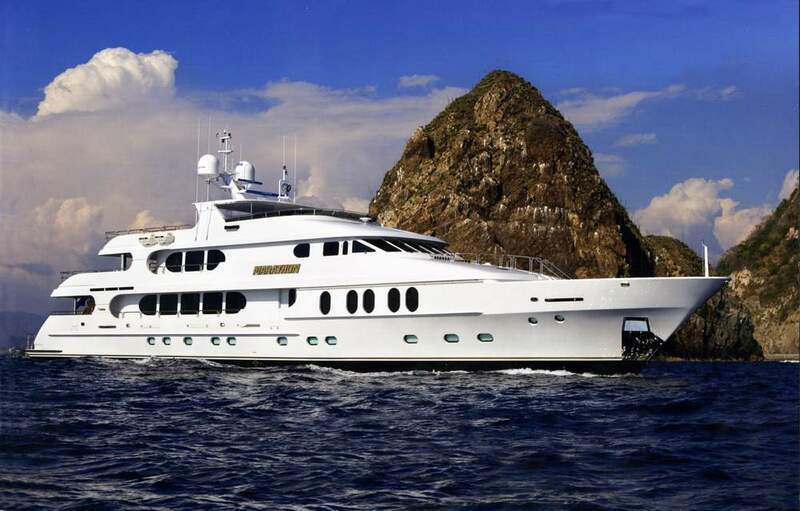 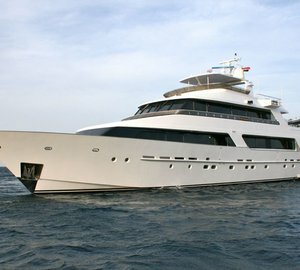 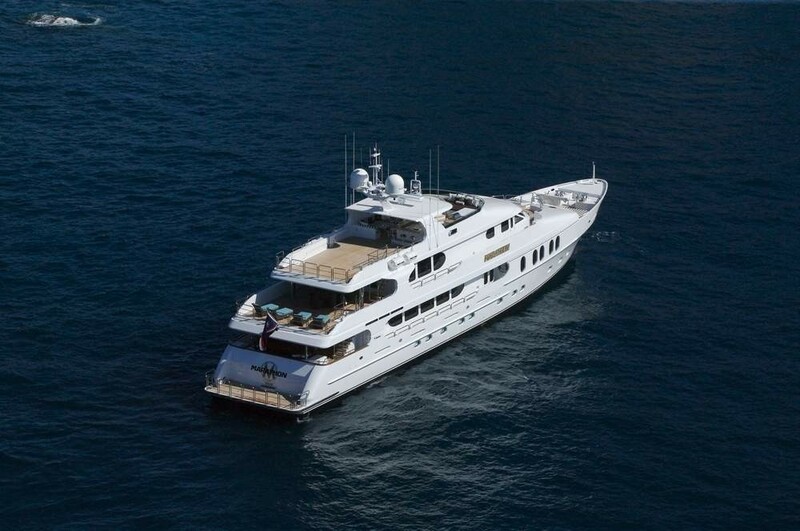 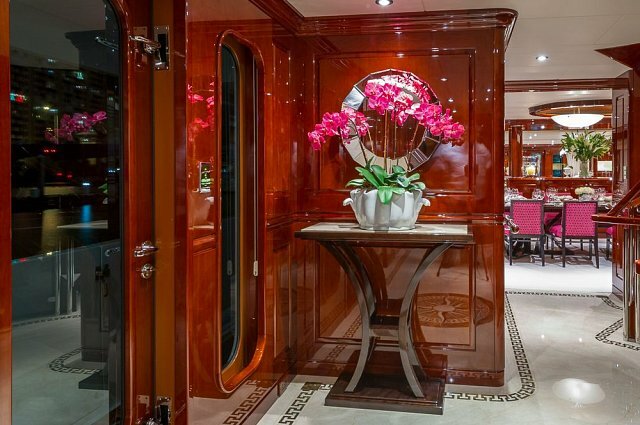 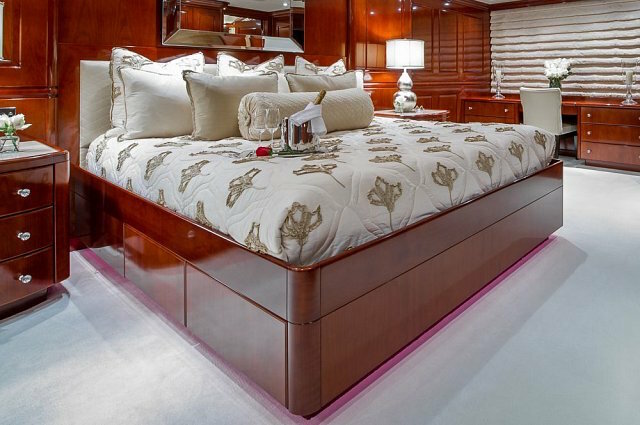 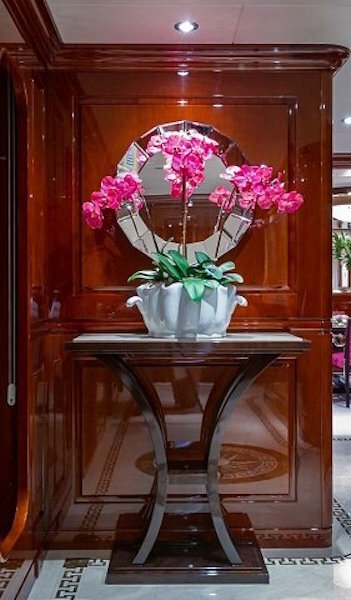 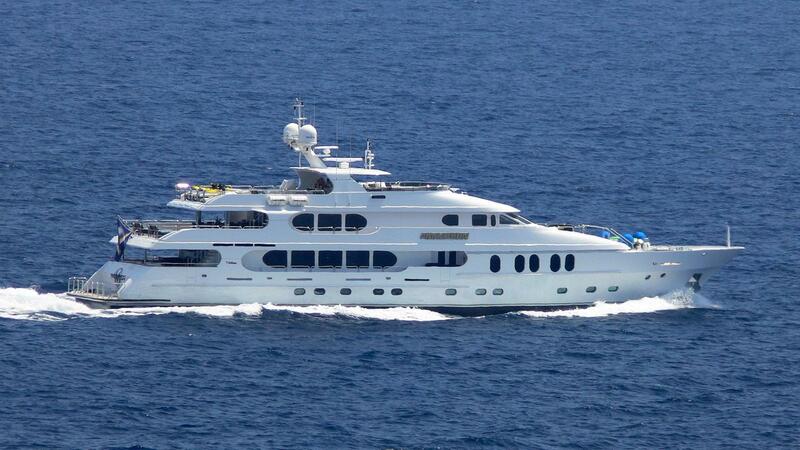 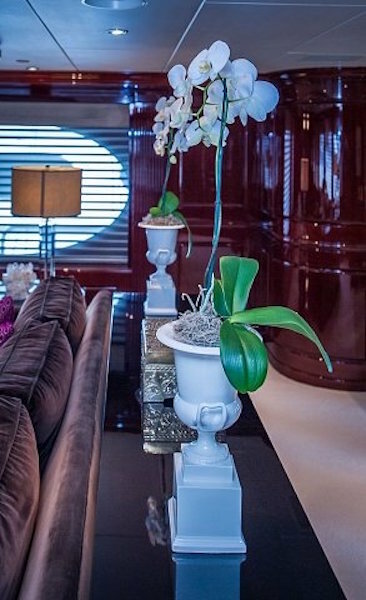 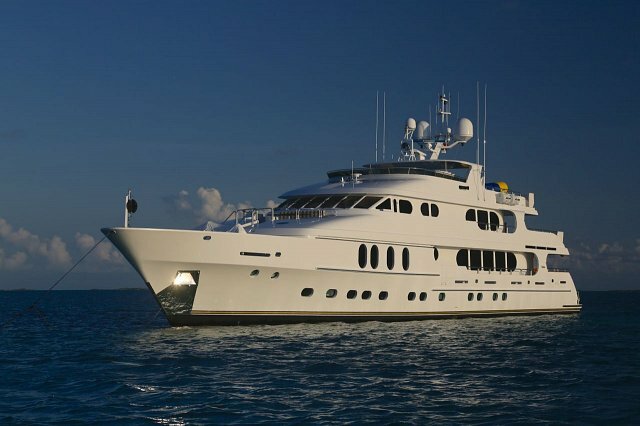 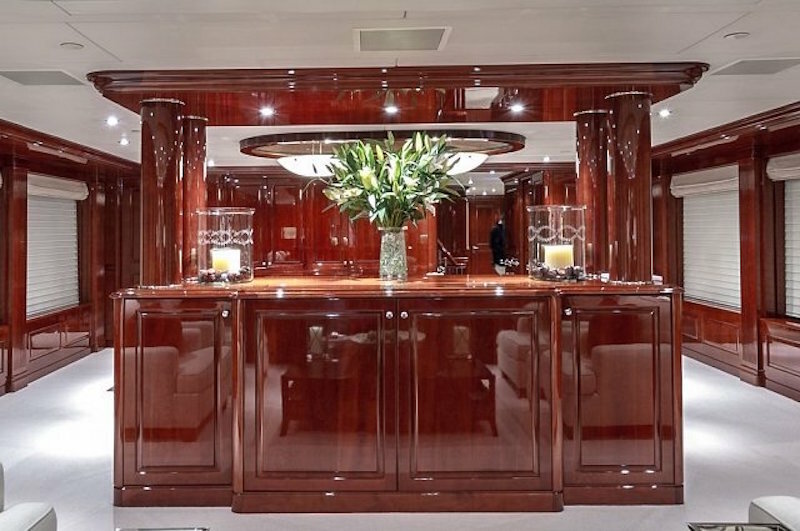 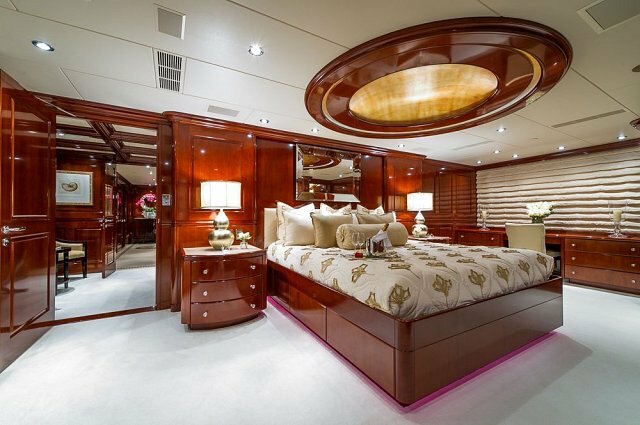 NO COMMENT (ex SCOTT FREE) is a 47m 157ft Christensen motor yacht, which offers luxury yacht charters for up to 12 guests. 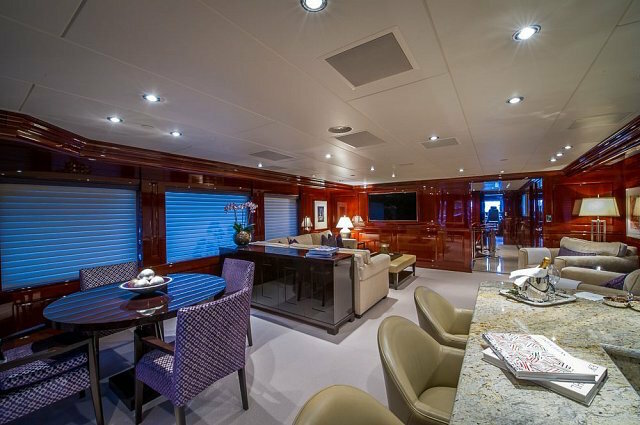 The main salon is spacious with plush seating and conversational area and a full entertainment center including a wide screen TV. 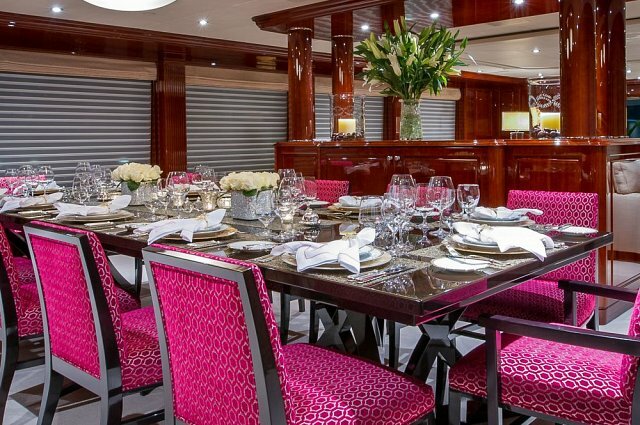 NO COMMENT's dining area has a large table w/ seating for 12 guests. 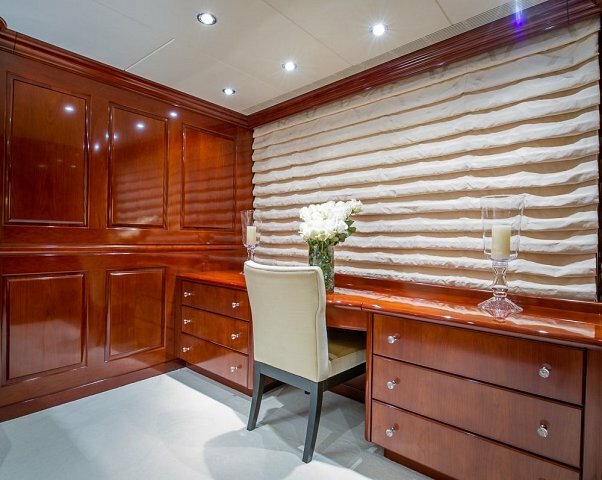 Providing semi-privacy between the salon and the dining area is a center credenza. 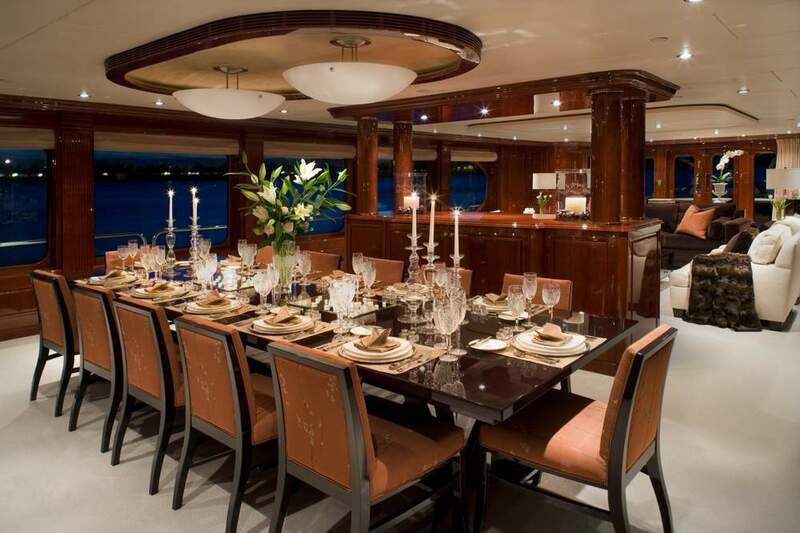 Large windows extend along the dining area and the salon providing natural light and an excellent view. 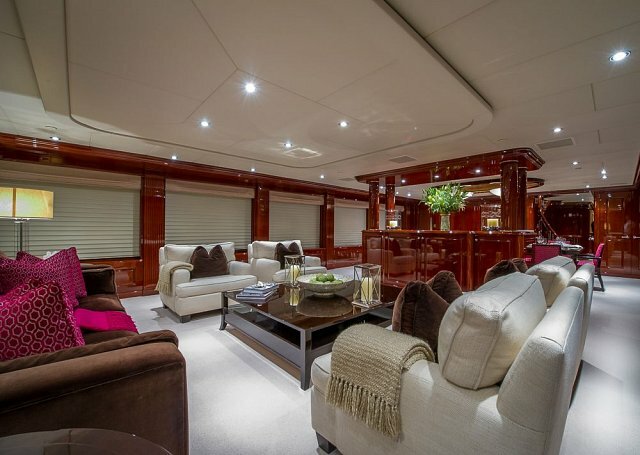 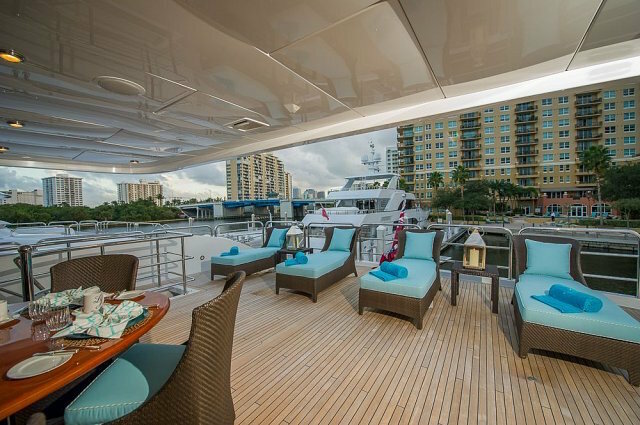 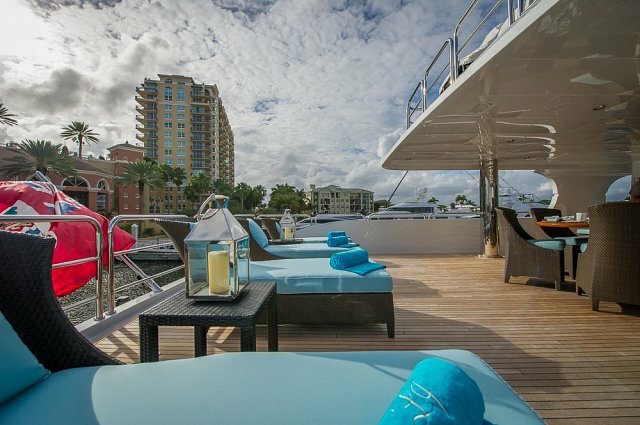 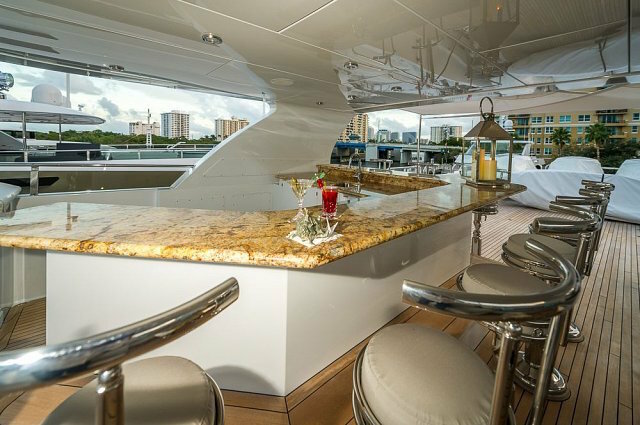 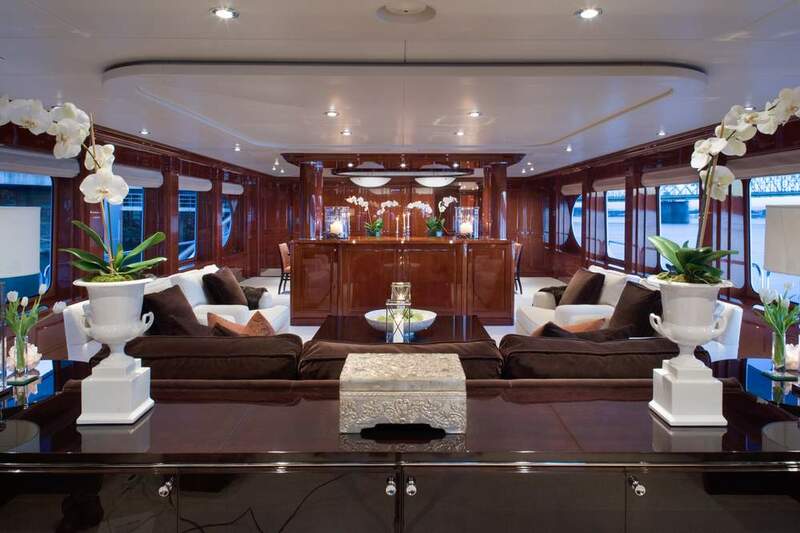 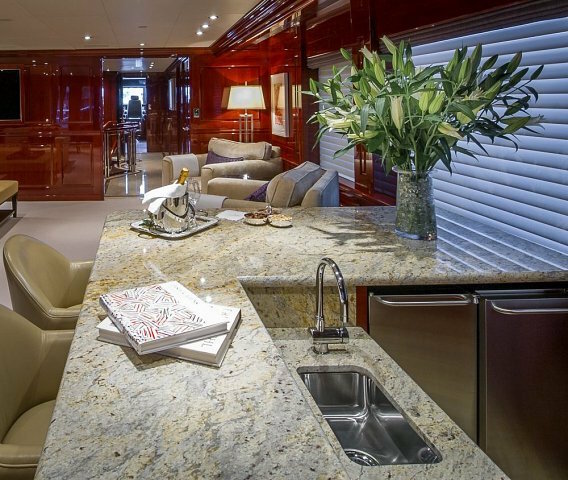 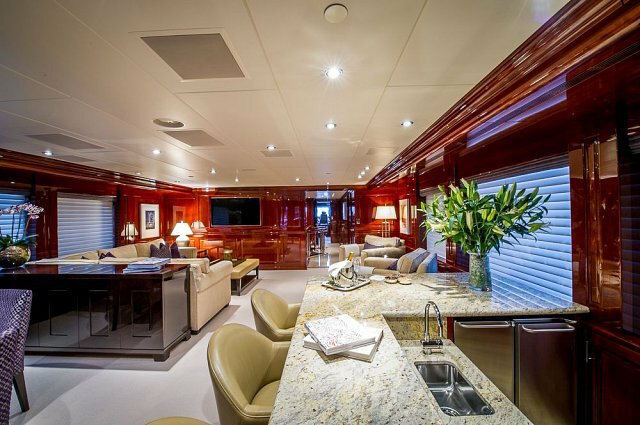 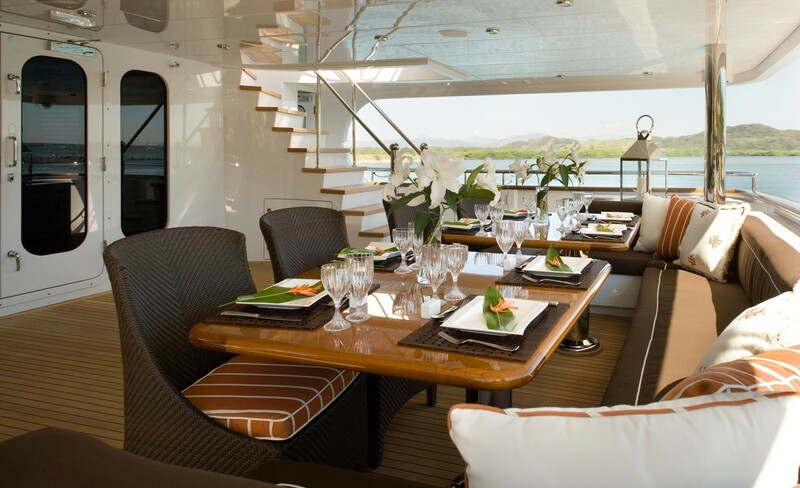 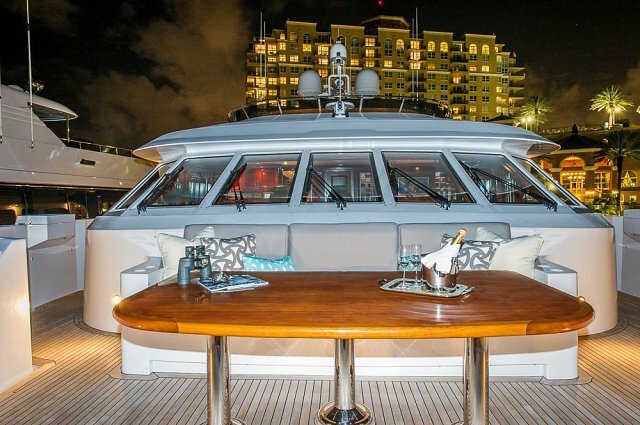 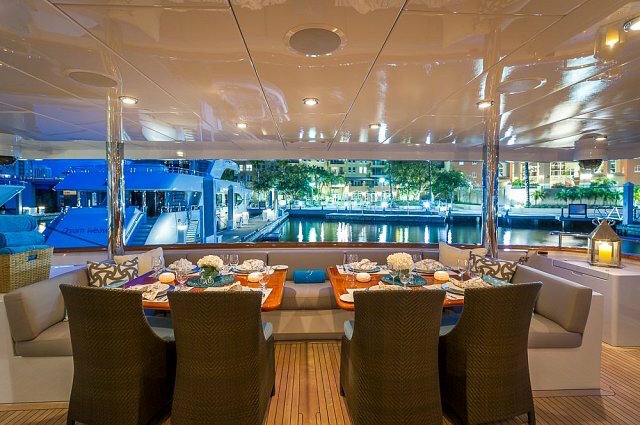 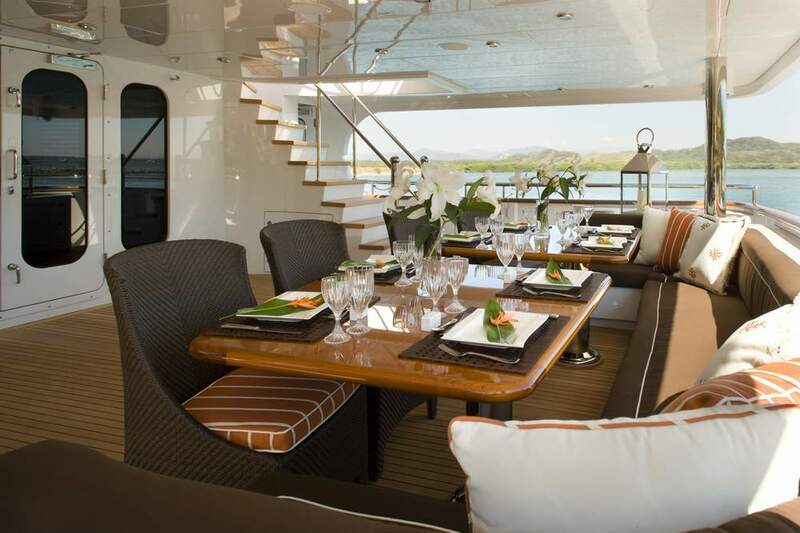 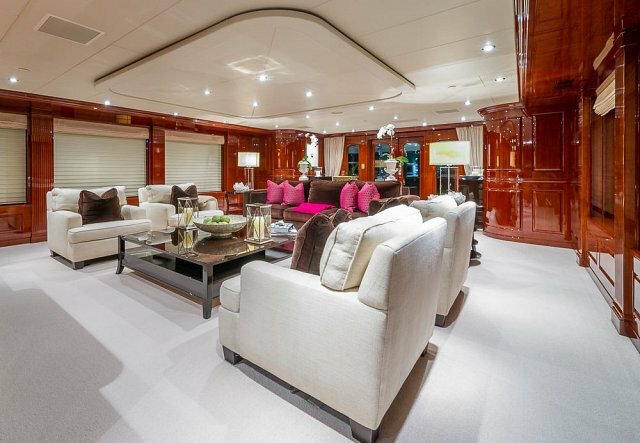 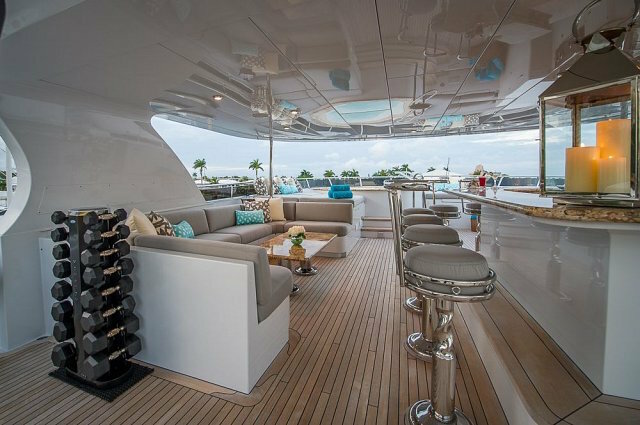 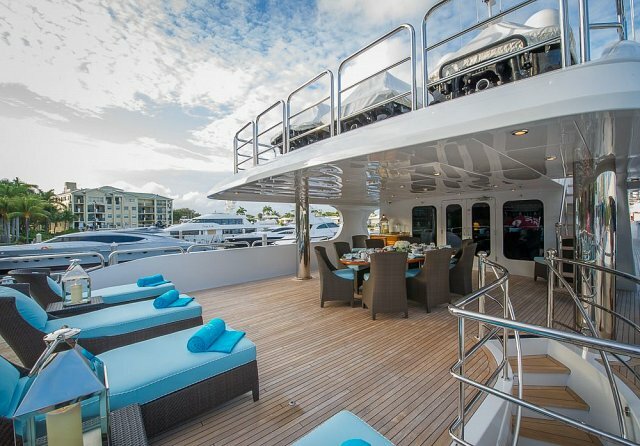 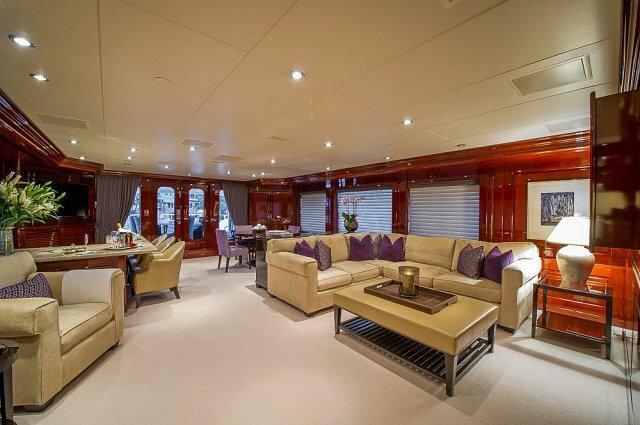 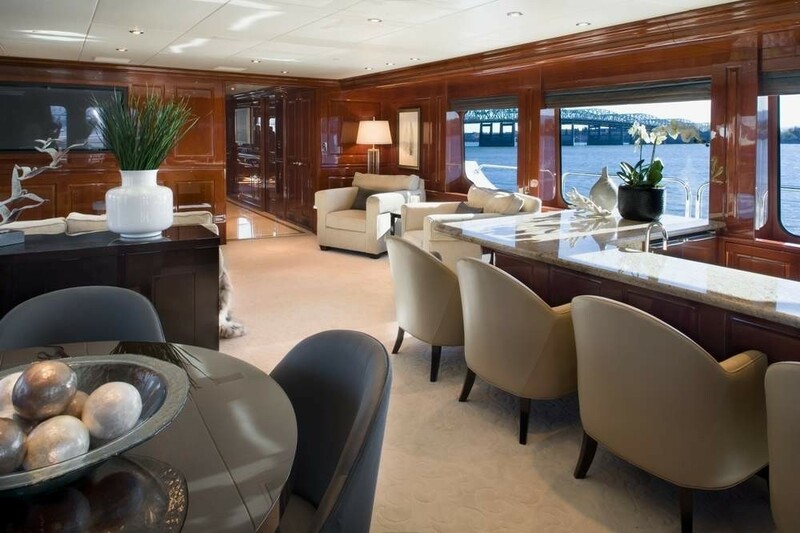 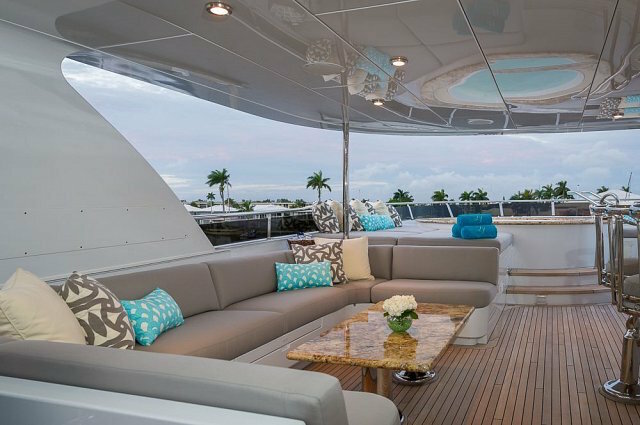 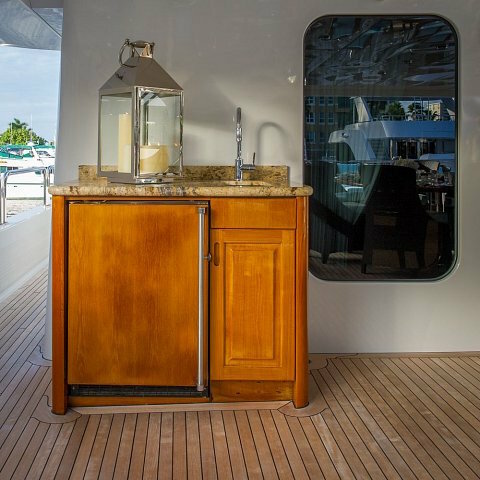 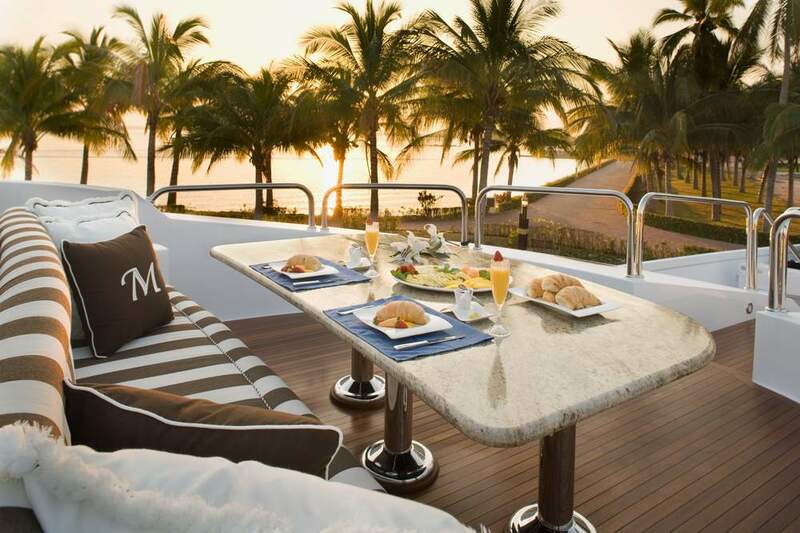 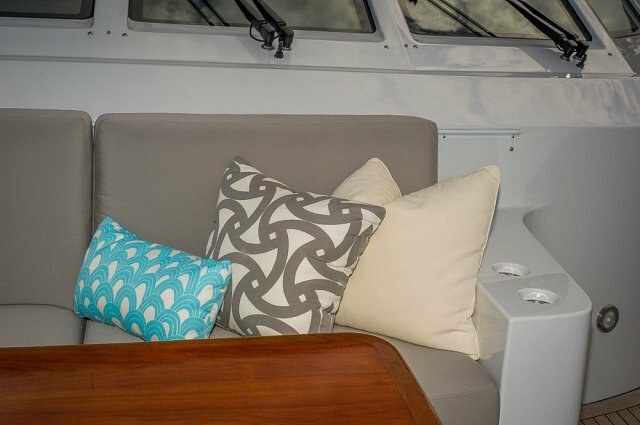 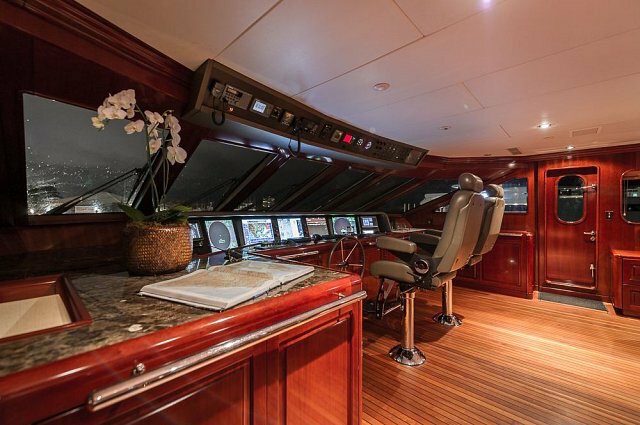 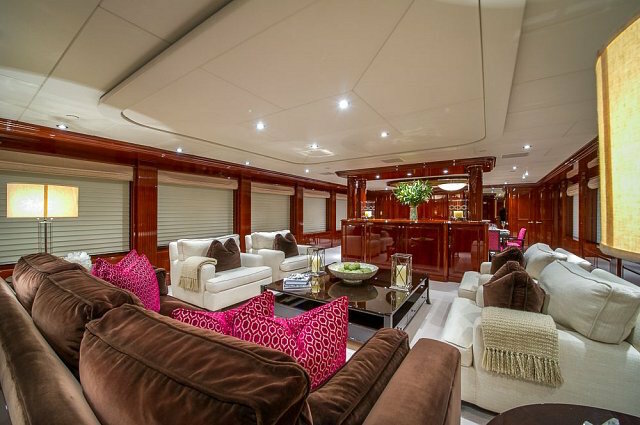 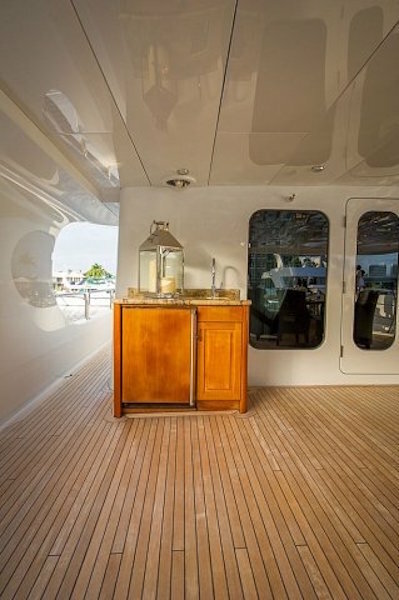 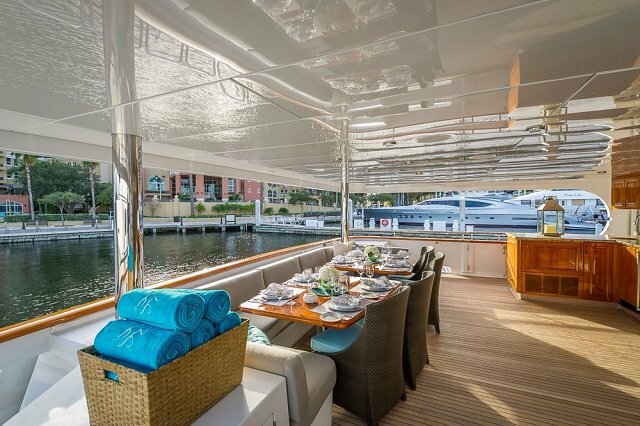 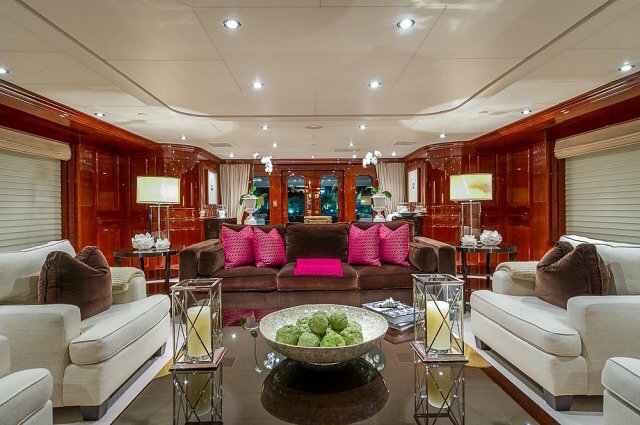 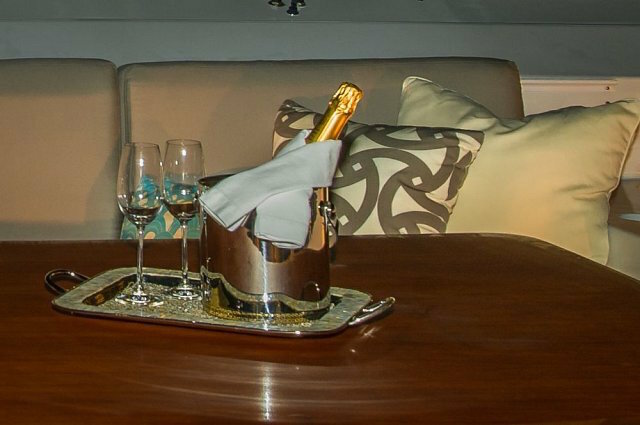 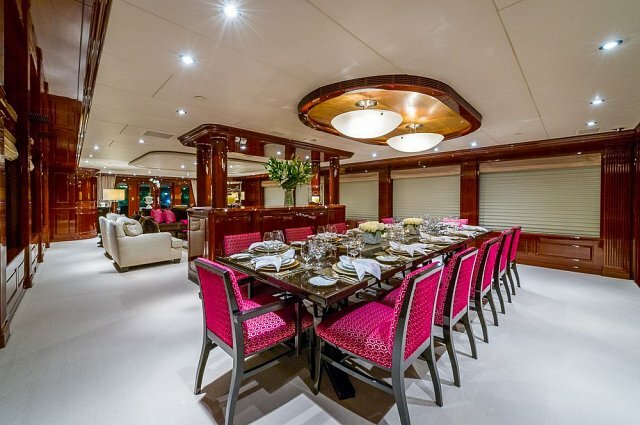 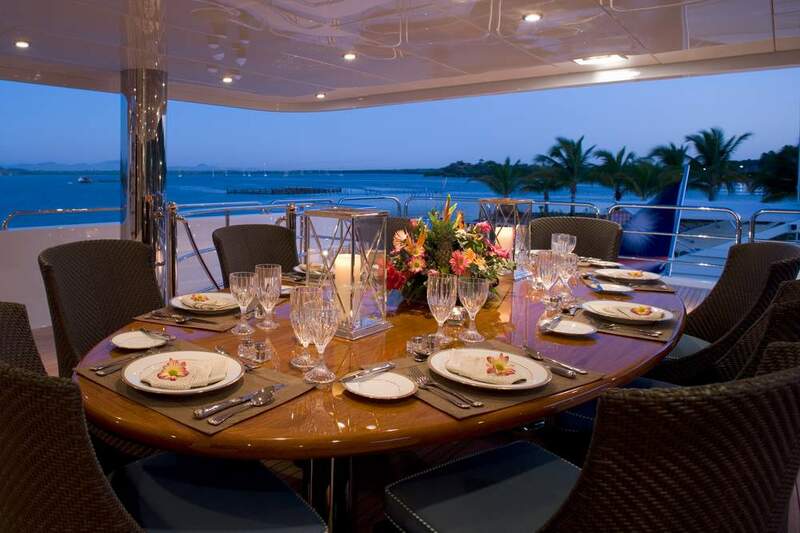 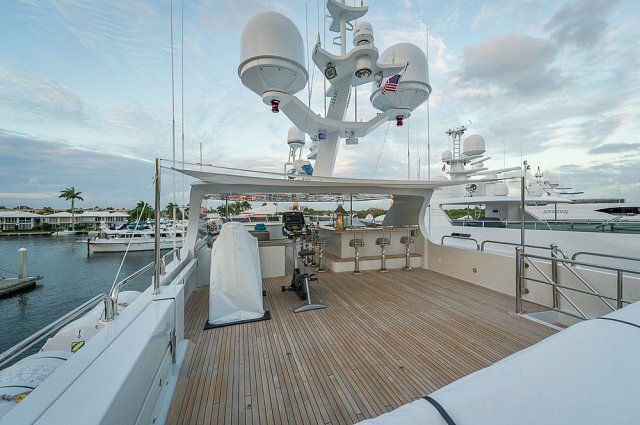 Main Deck Aff offers a dining table for 12 and a wet bar. 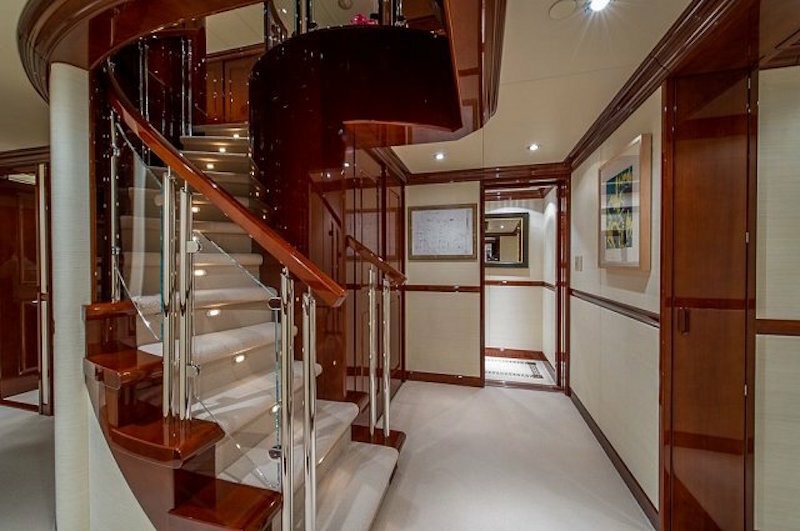 Stairway to the bridge deck and easy access to the swim platform. 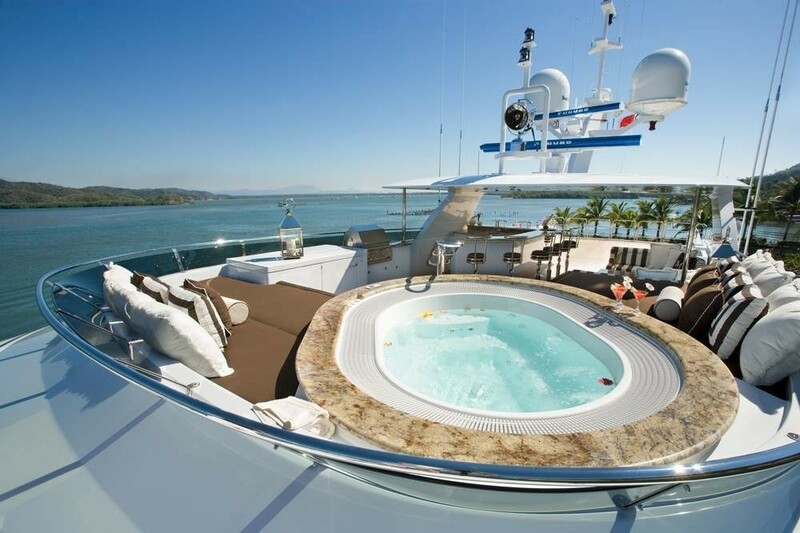 Spa Pool forward and large cushioned sun pad. 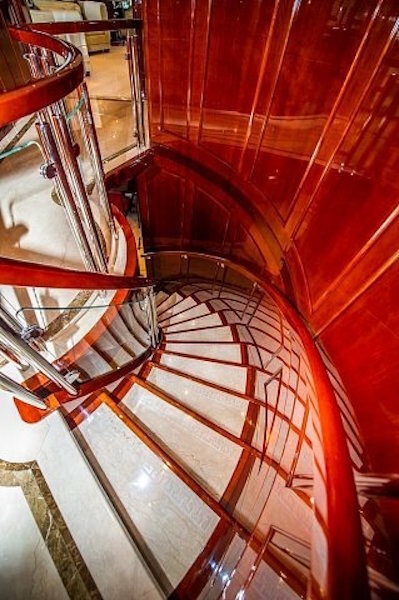 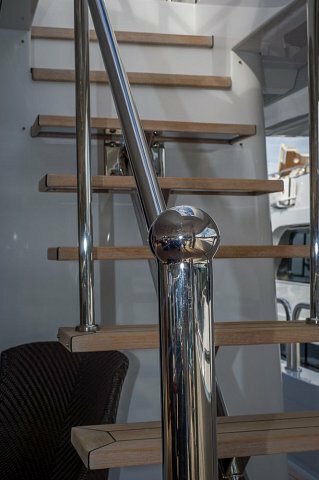 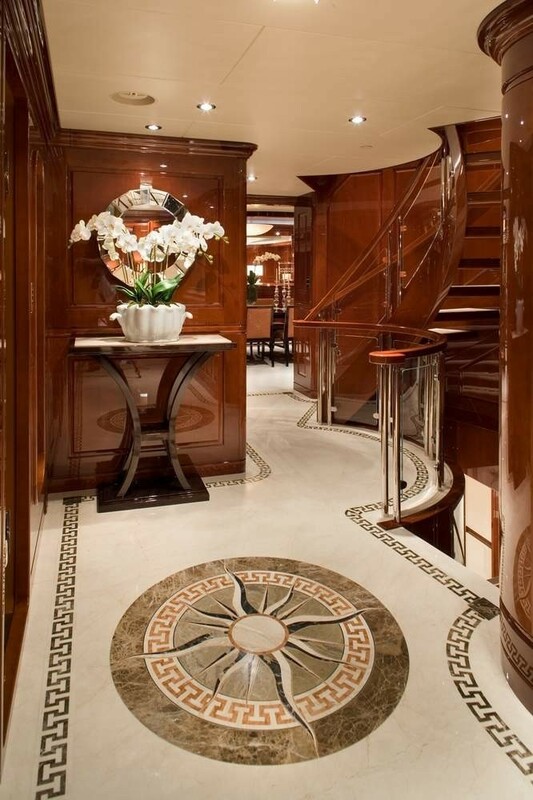 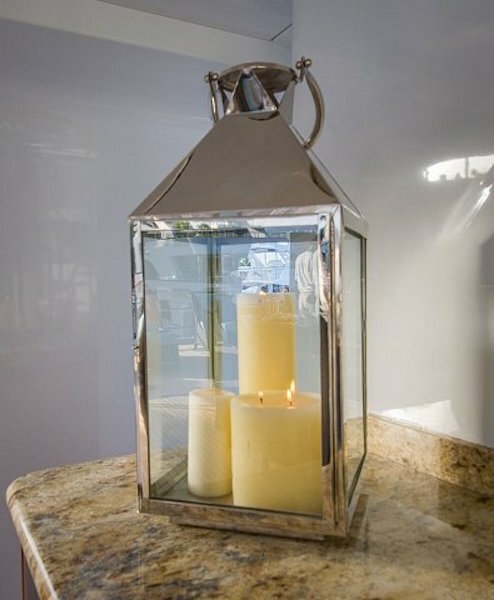 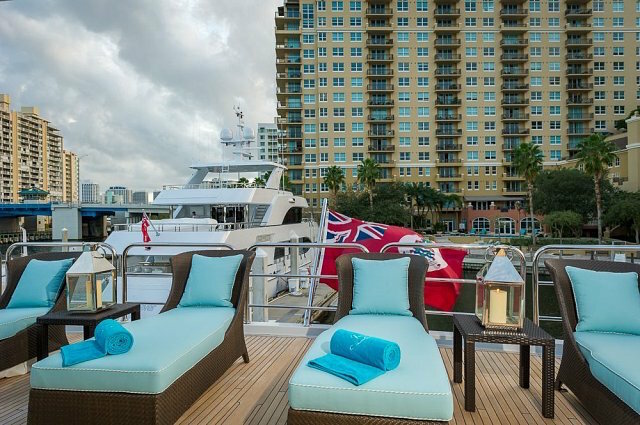 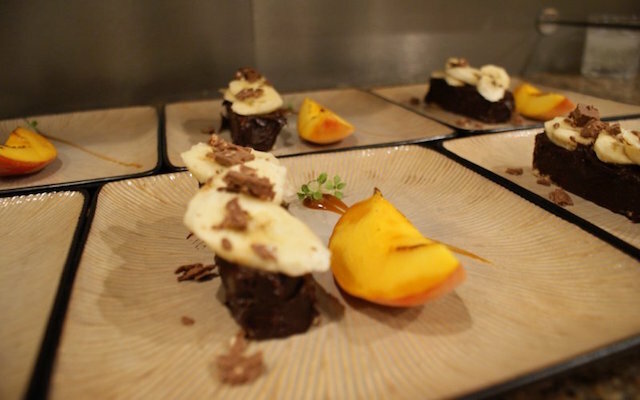 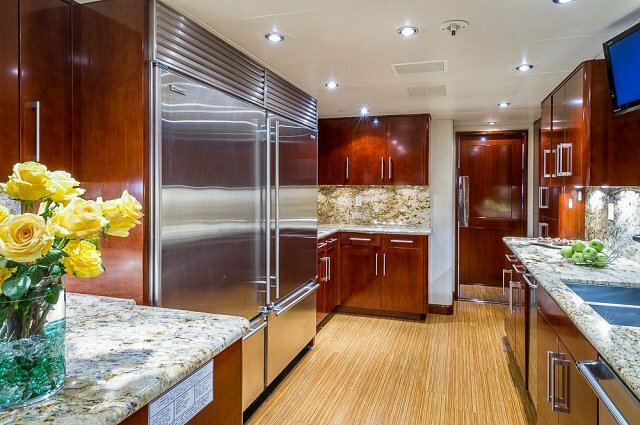 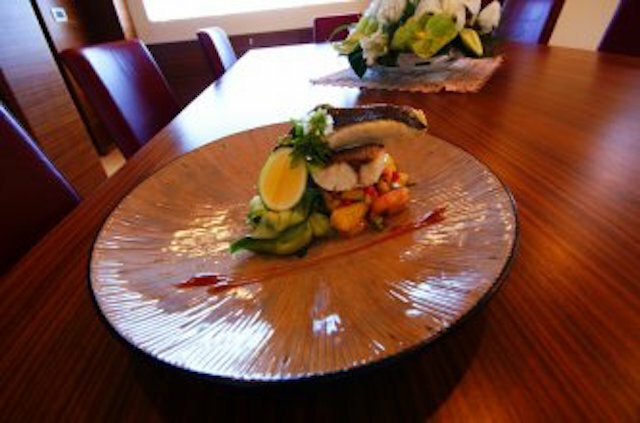 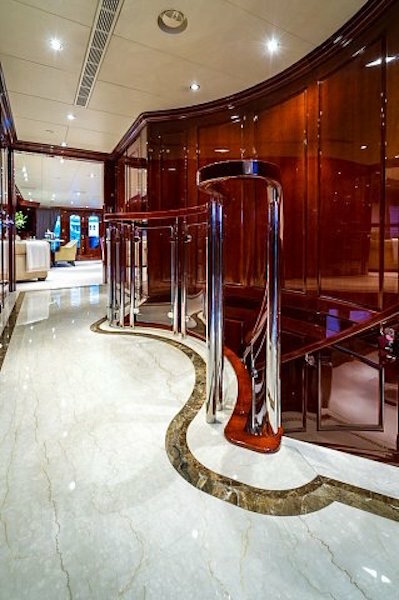 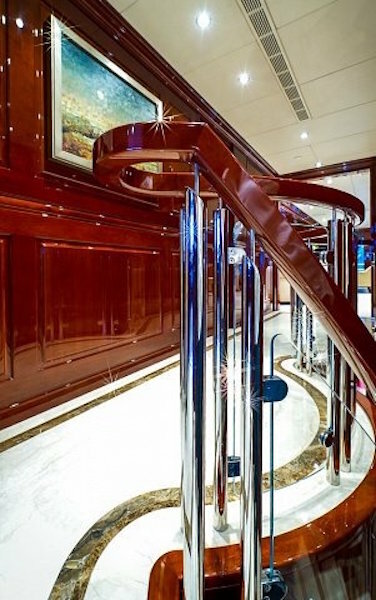 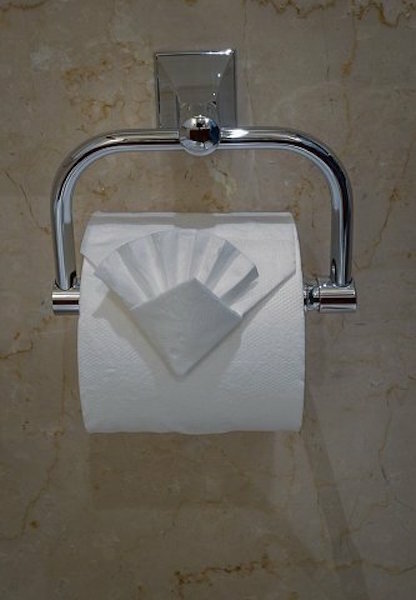 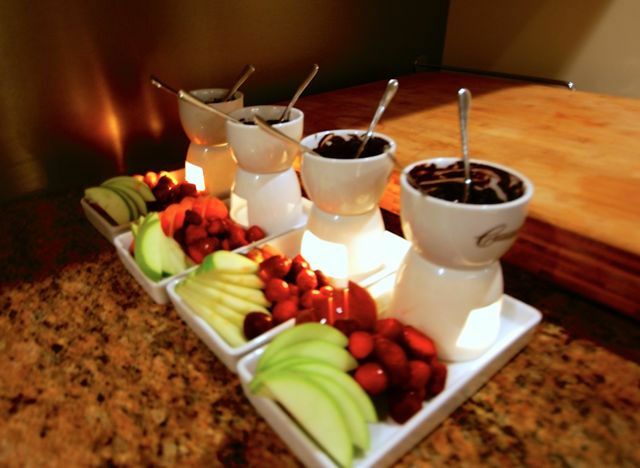 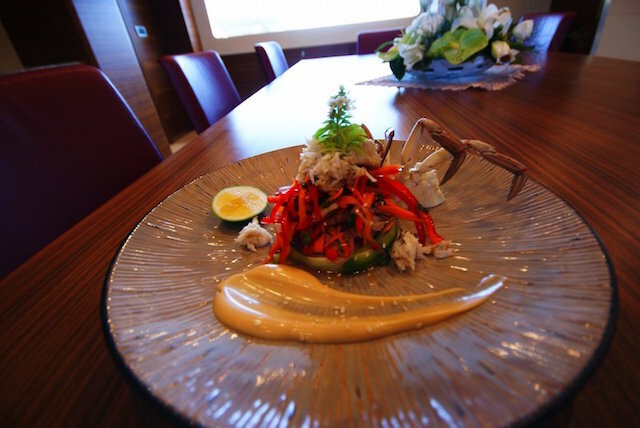 Elevator service to all decks, BBQ grill, bar w/stools and adjacent banquette for casual dining for 12. 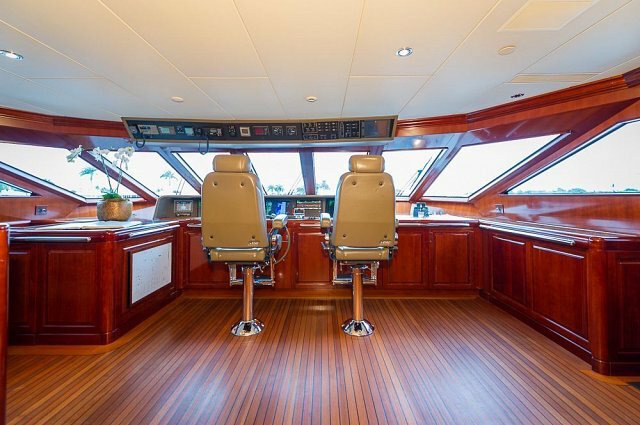 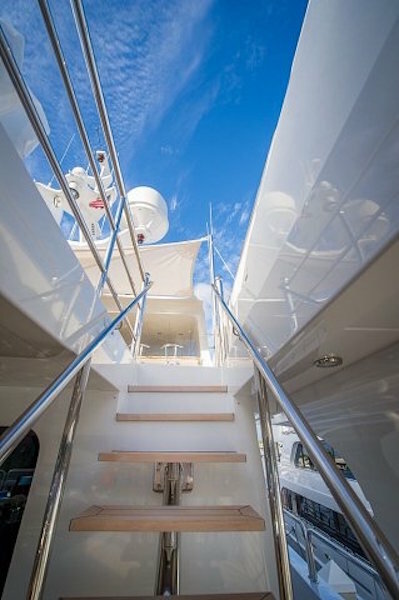 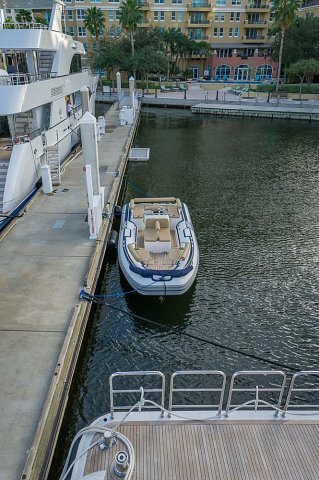 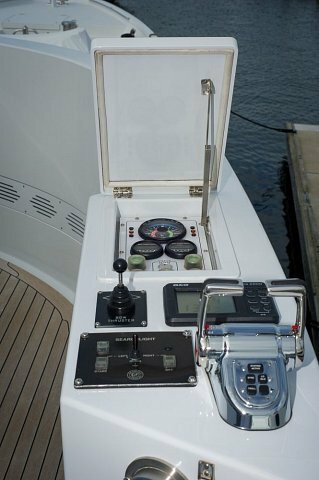 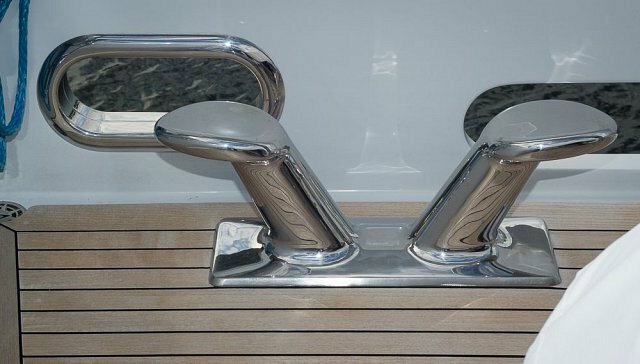 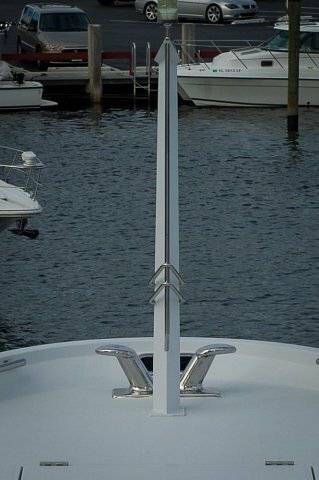 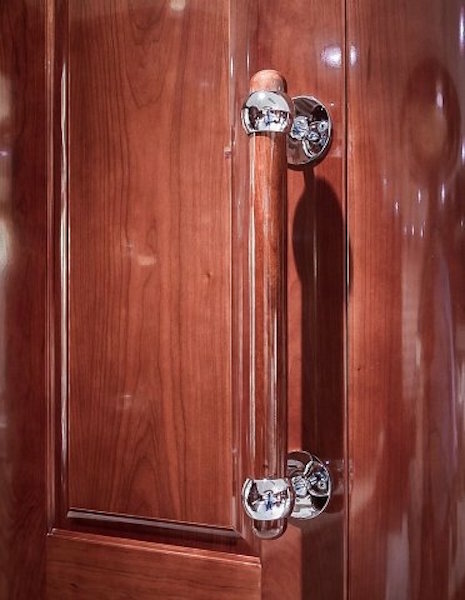 Spacious aft deck carries water sports equipment. 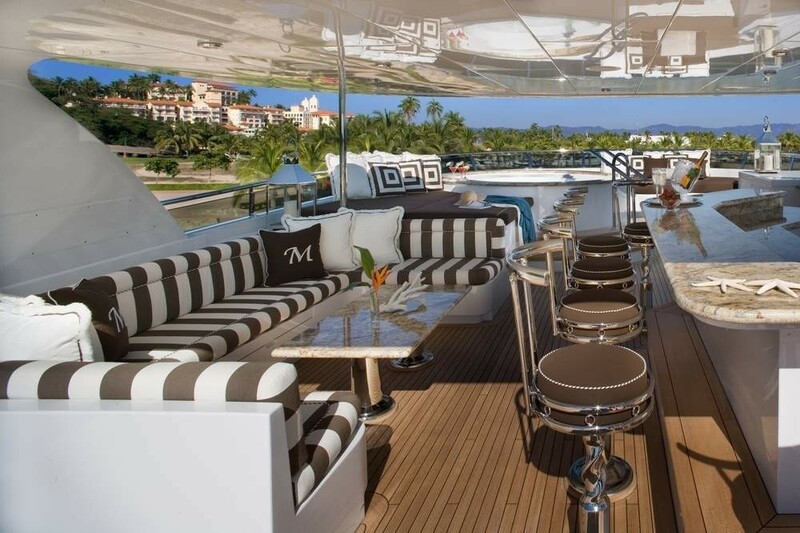 Design of the super structure provides shade at the bar and dining area. 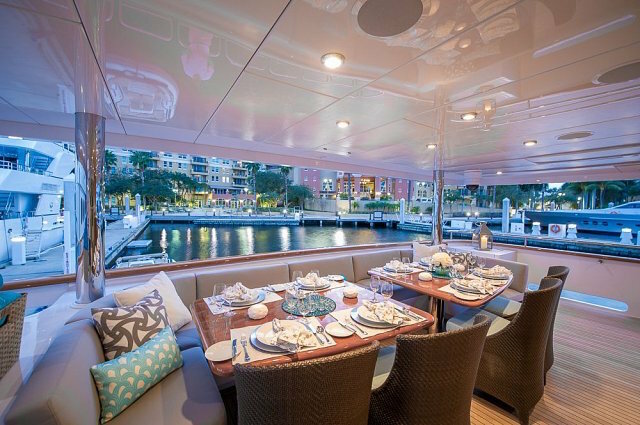 Forward of the bridge is exterior seating and a table for eight guests. 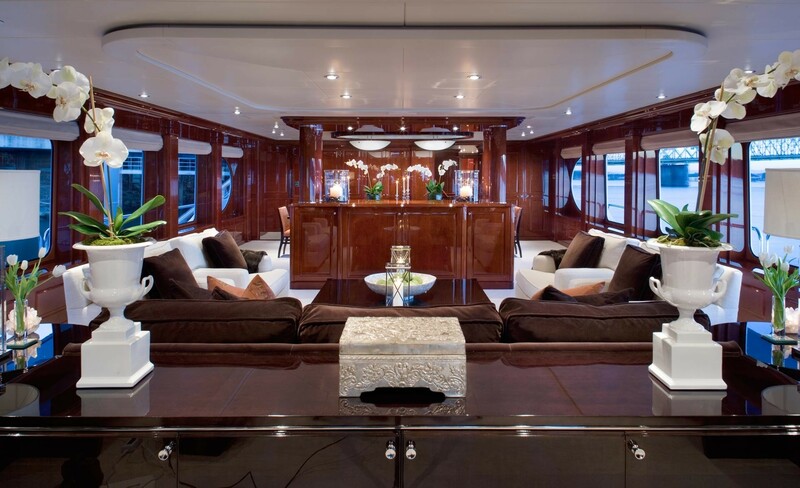 Aft of the bridge is the spacious sky lounge with bar, cocktail/game table, and conversational area. 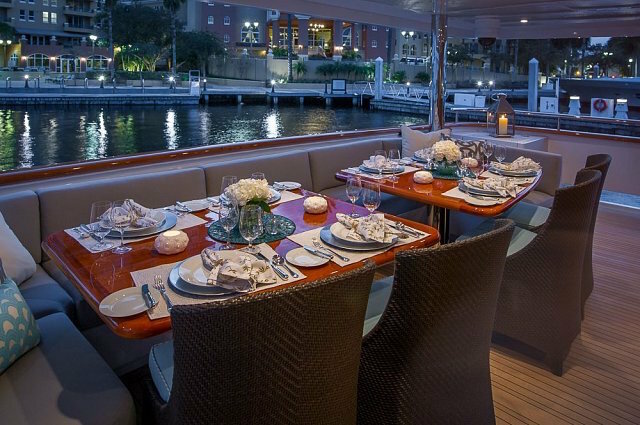 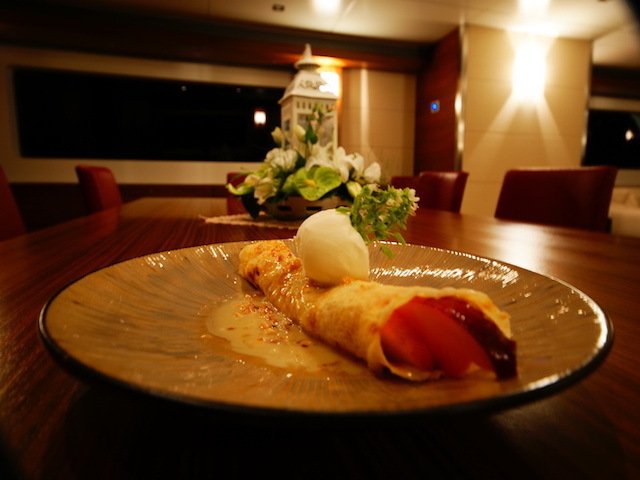 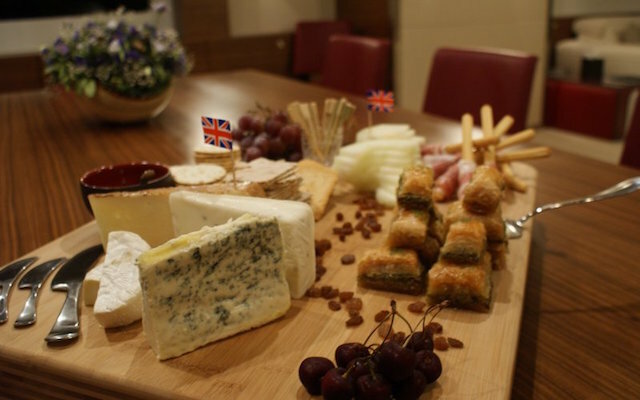 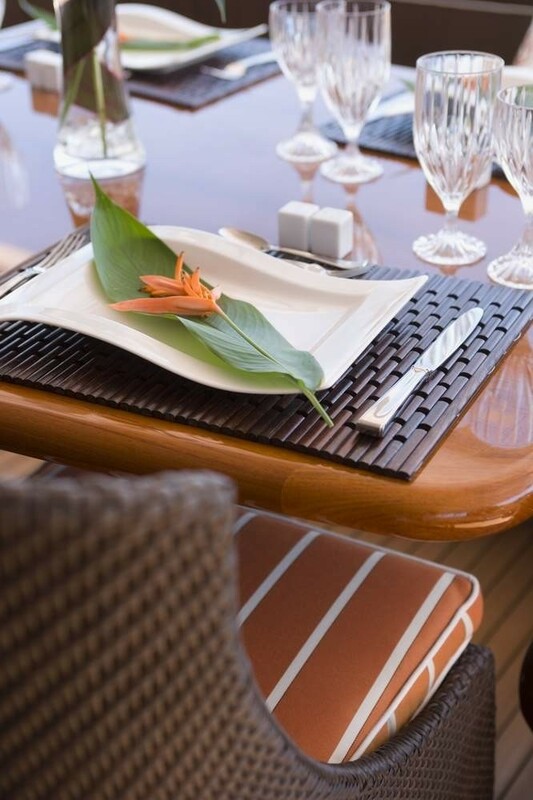 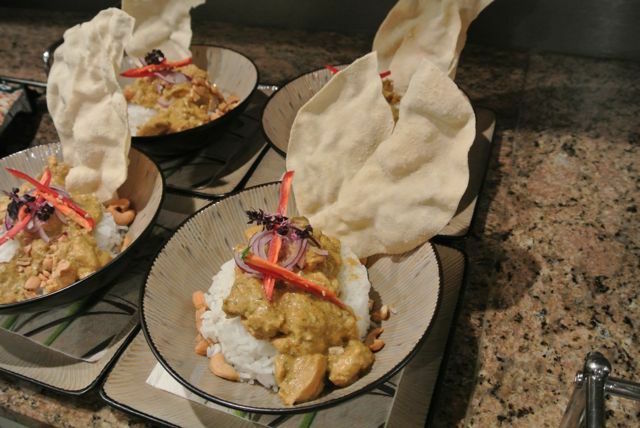 On the aft bridge deck, there is covered dining for 12 guests and room for lounge chairs on the open deck. 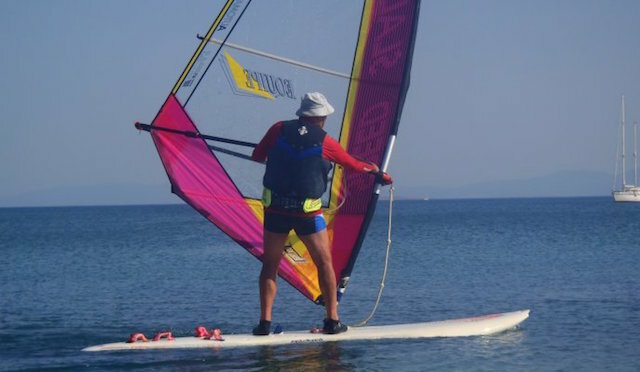 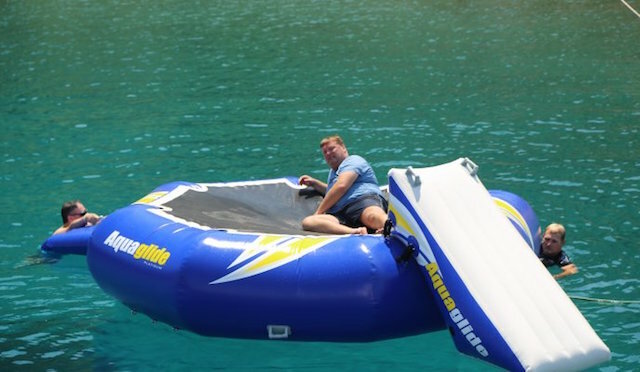 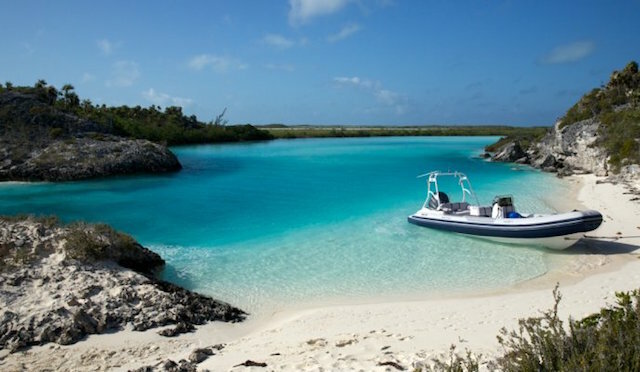 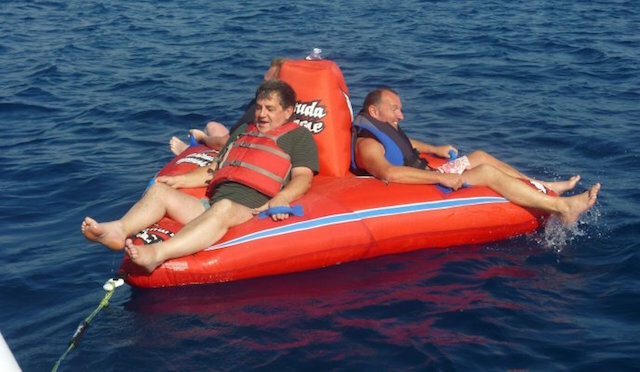 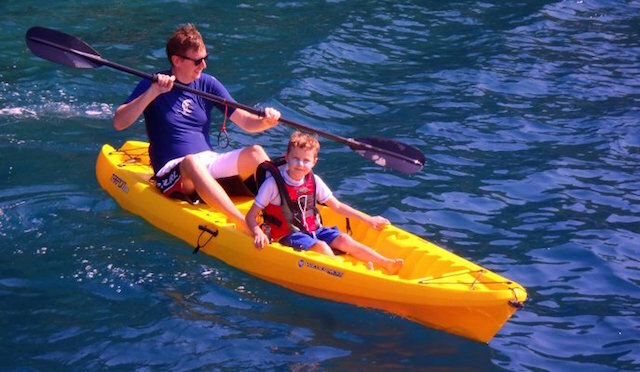 There is a selection of water sports equipment for those who love active lifestyle and fun on the water. 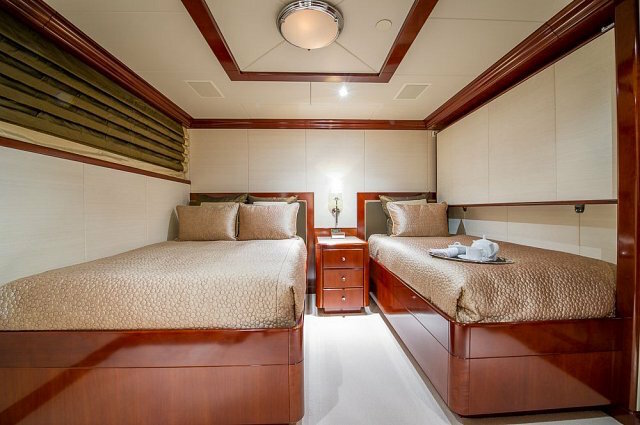 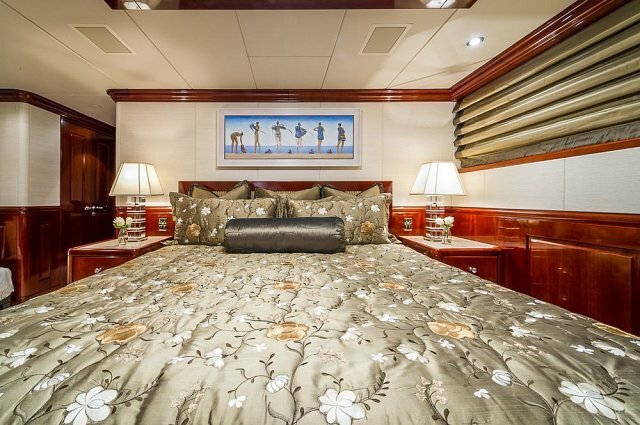 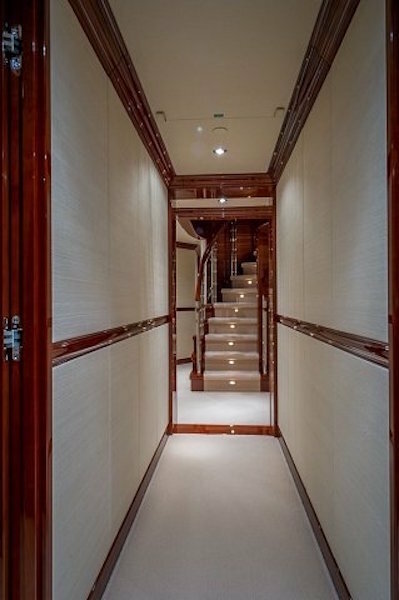 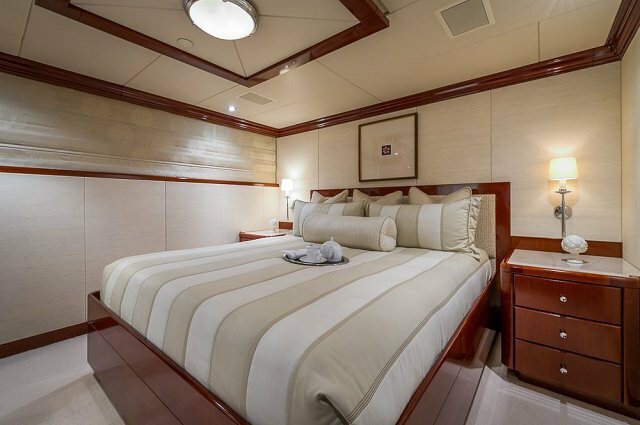 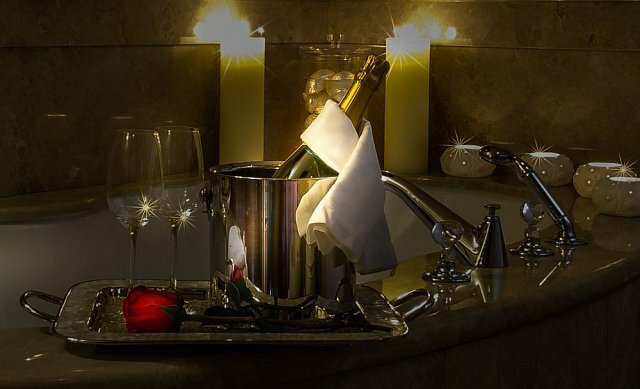 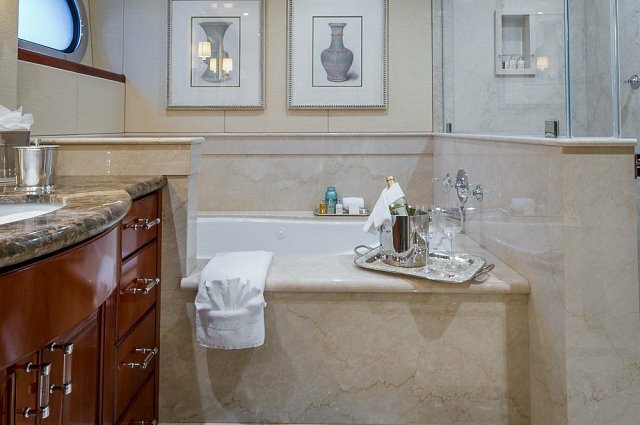 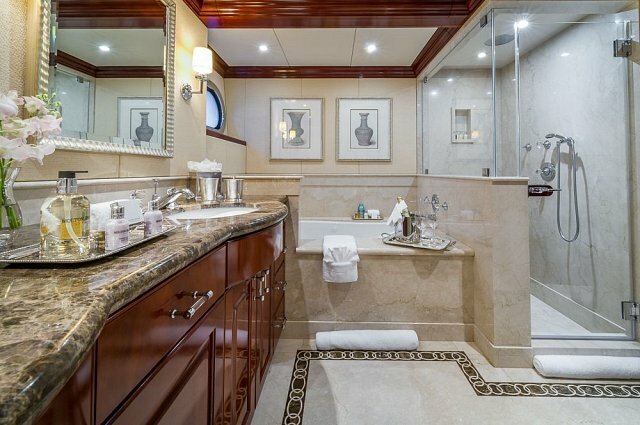 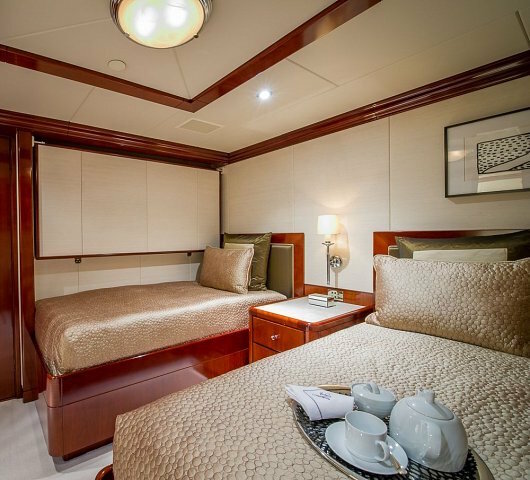 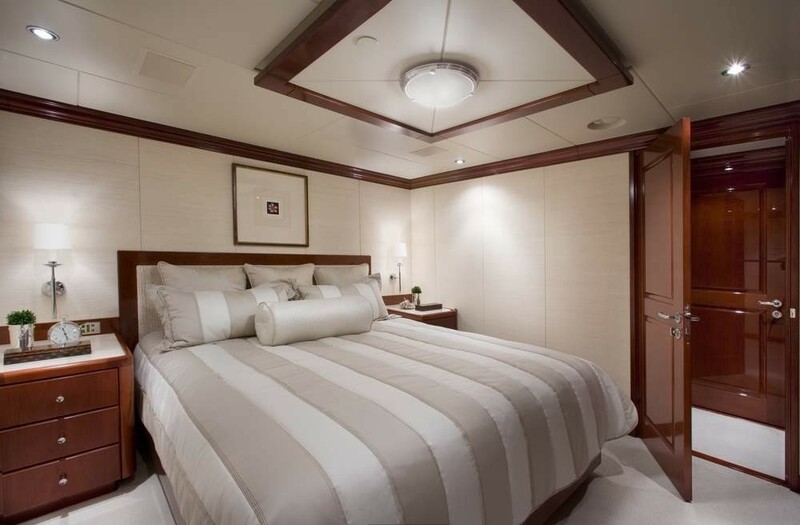 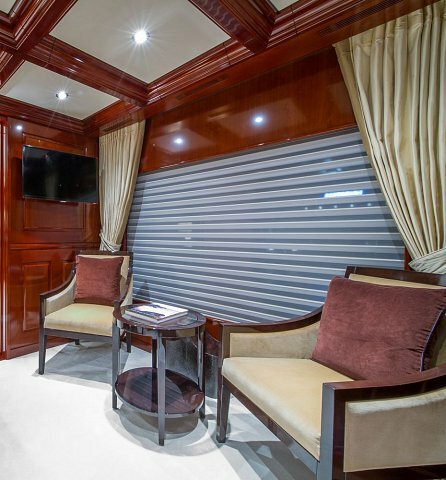 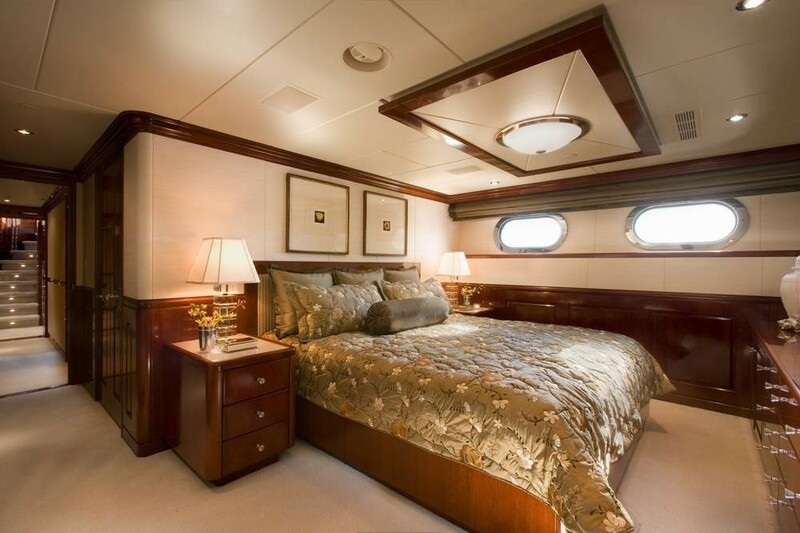 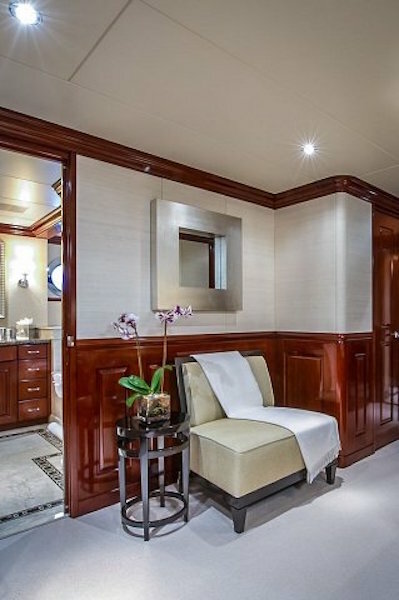 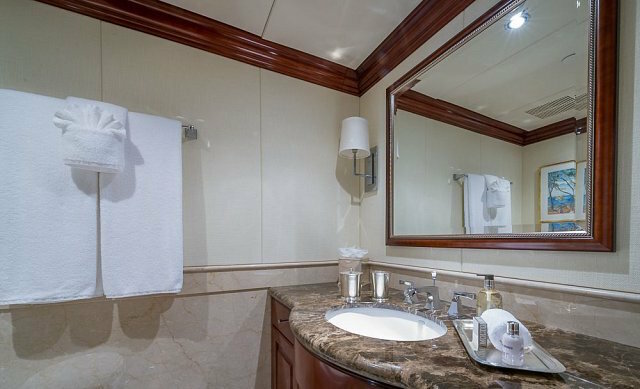 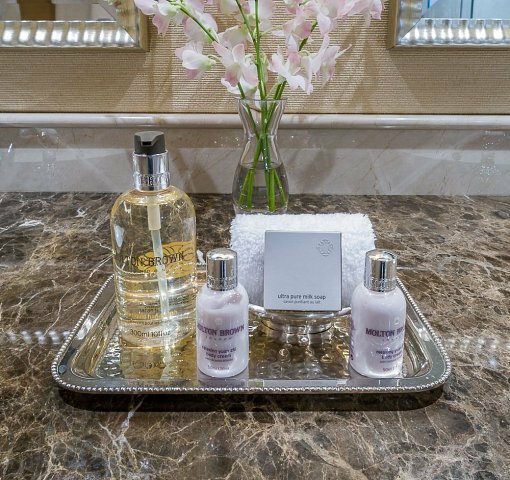 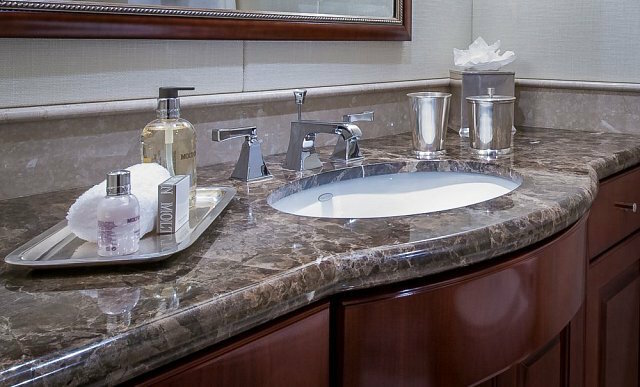 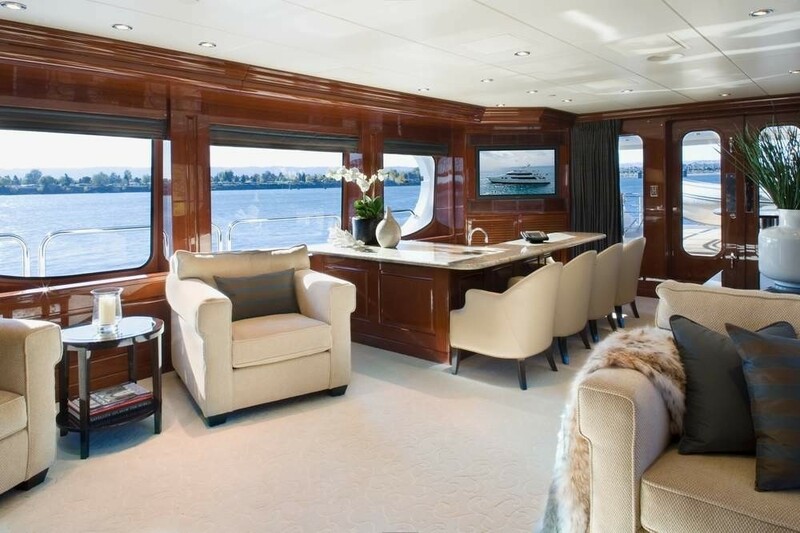 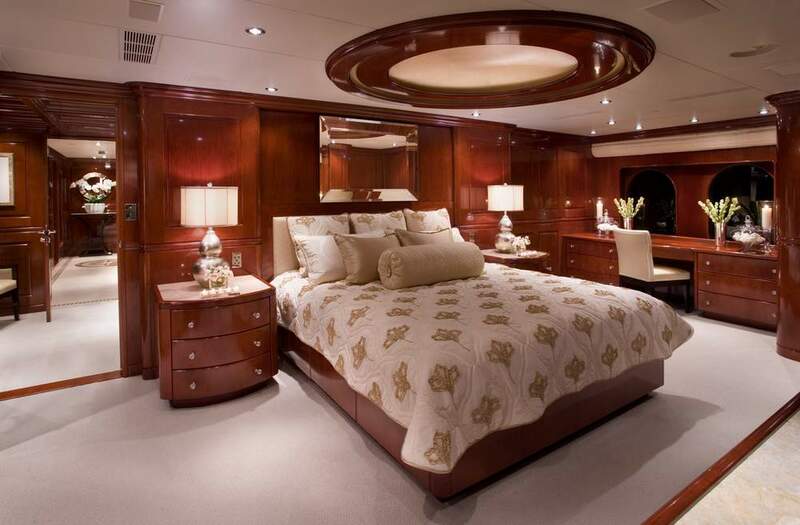 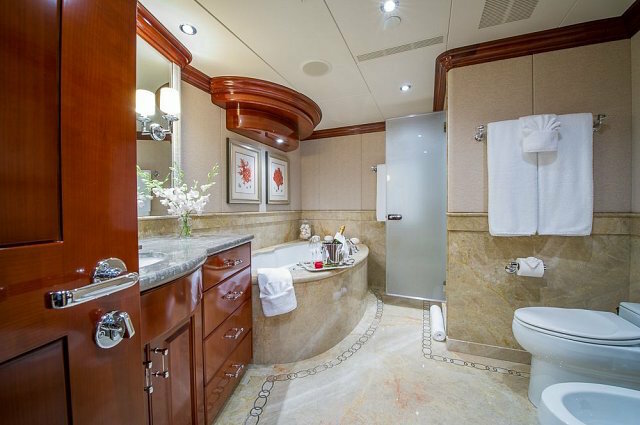 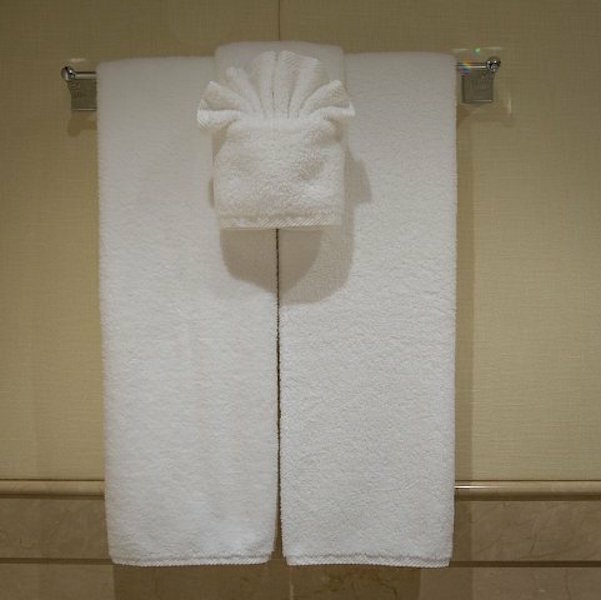 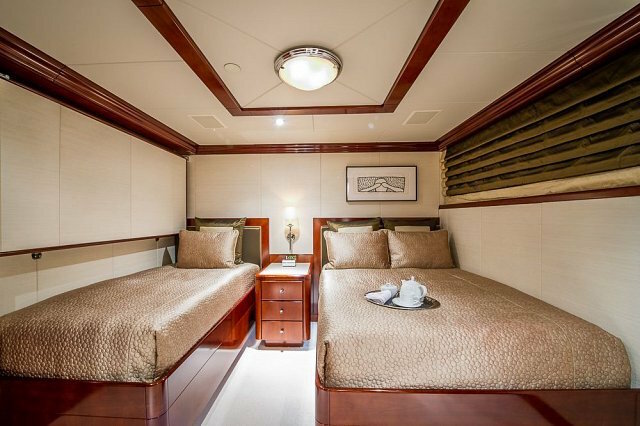 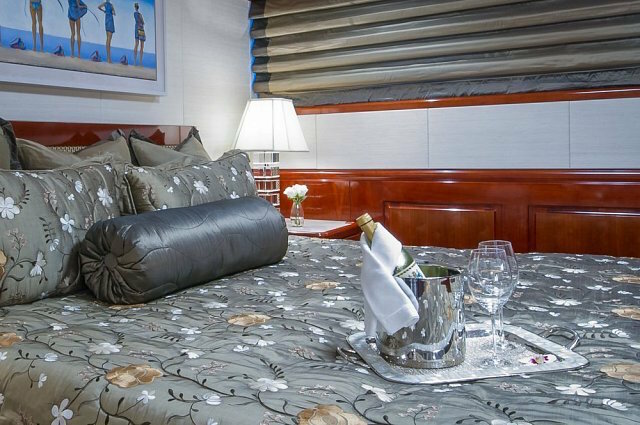 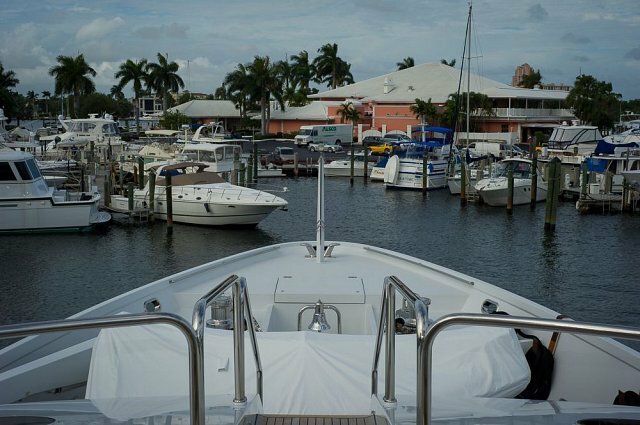 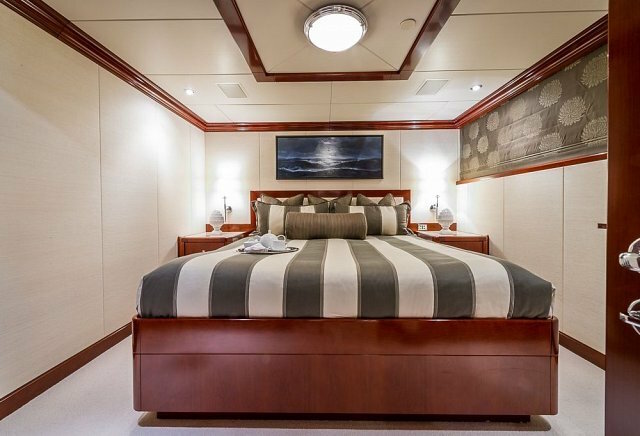 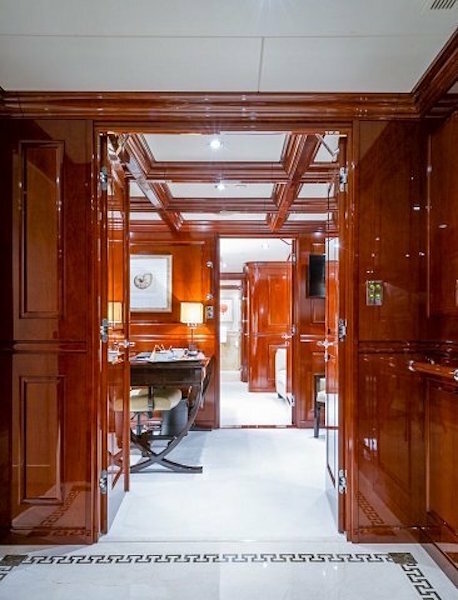 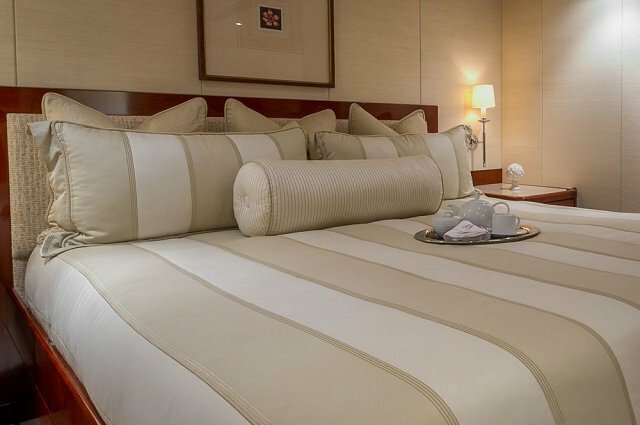 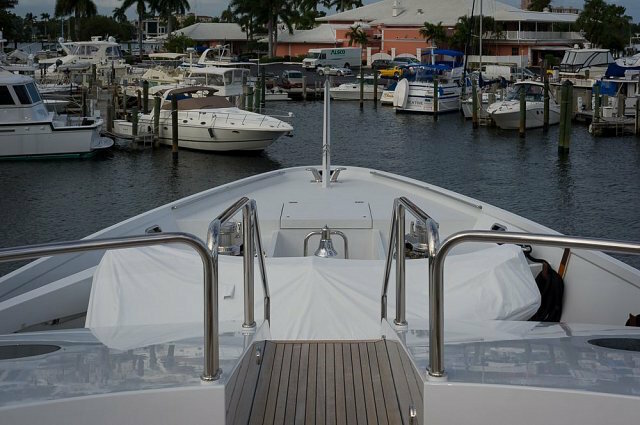 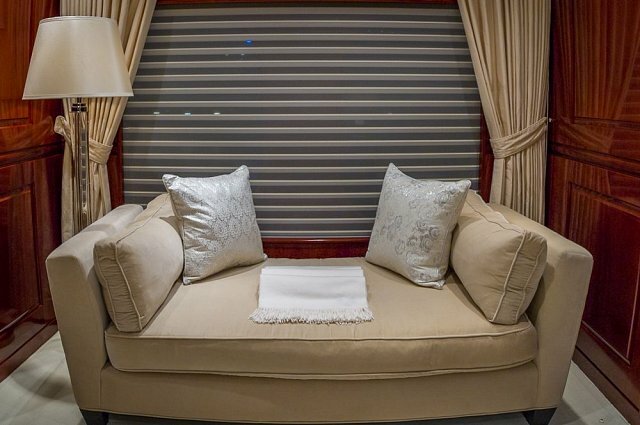 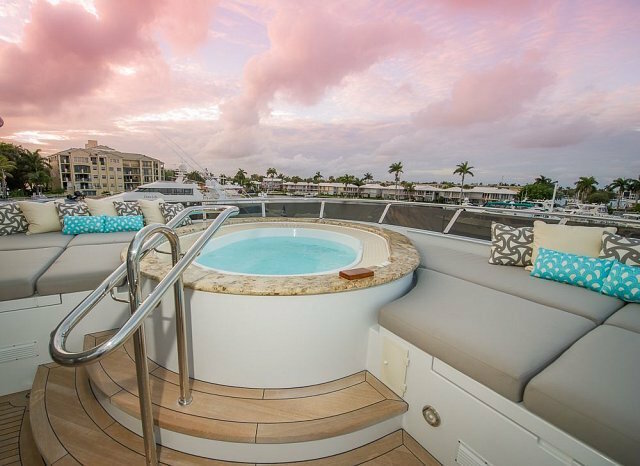 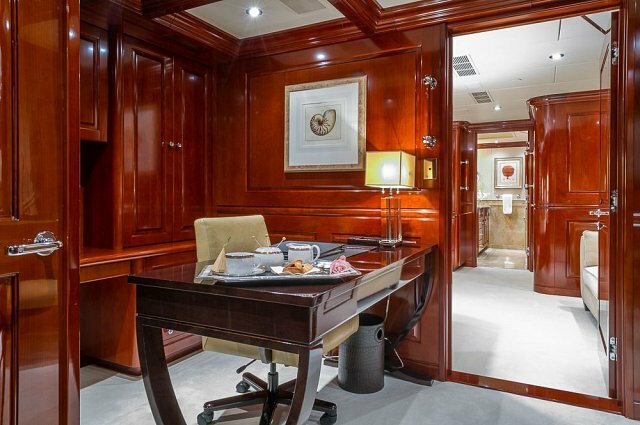 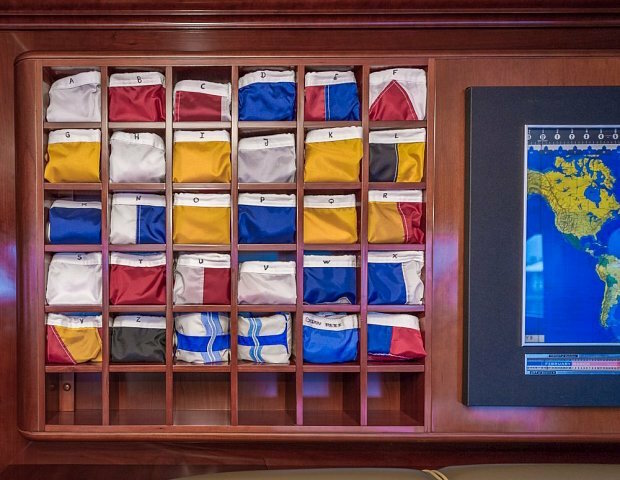 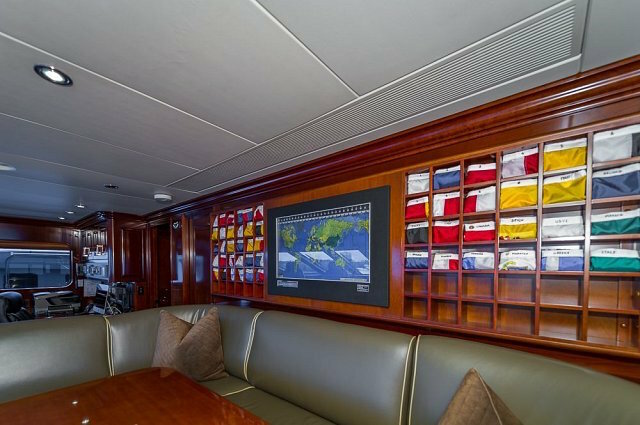 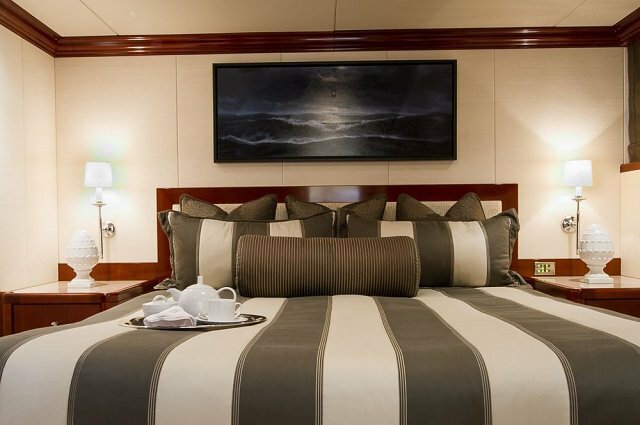 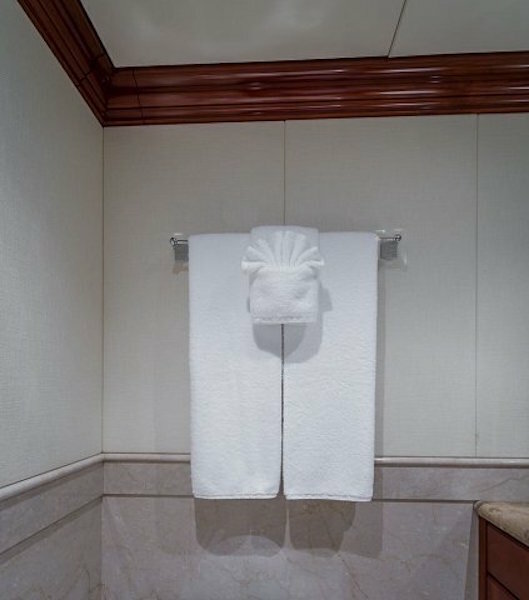 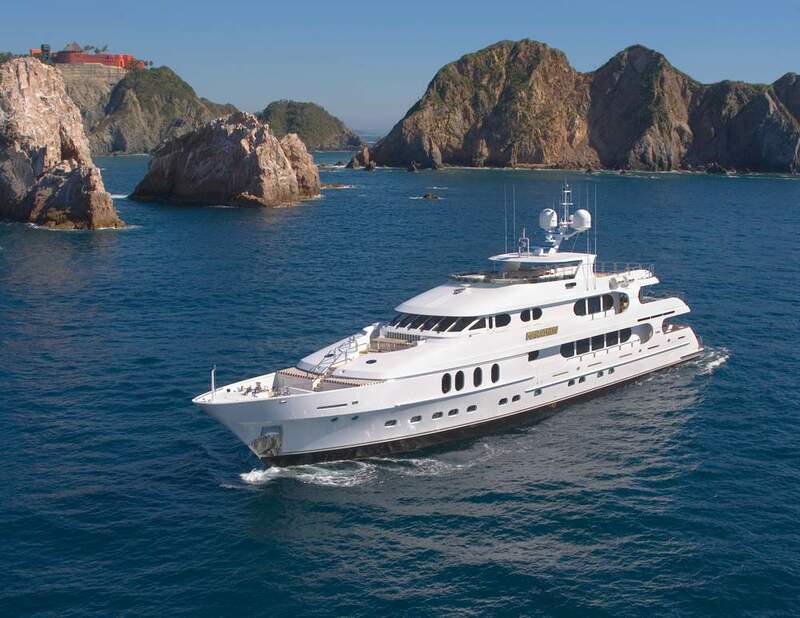 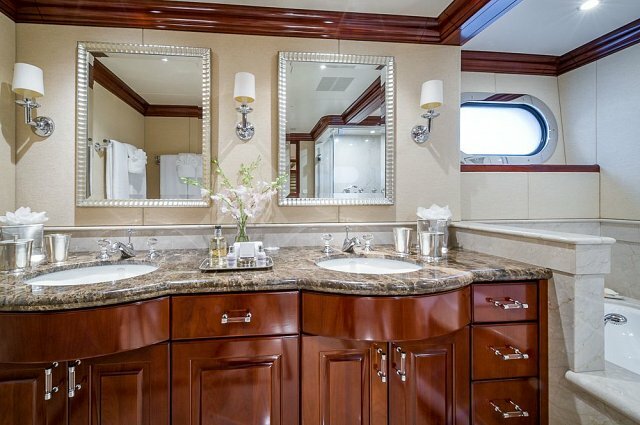 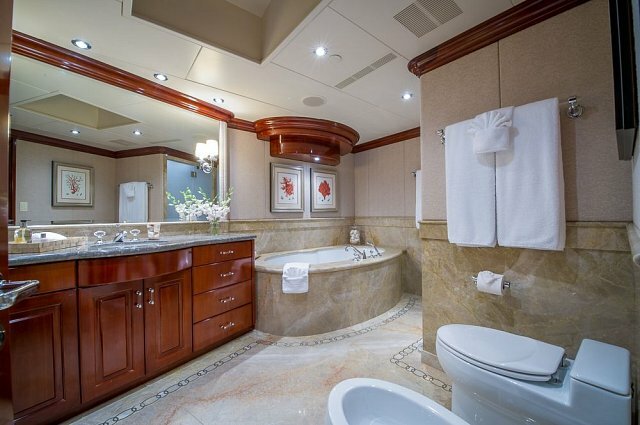 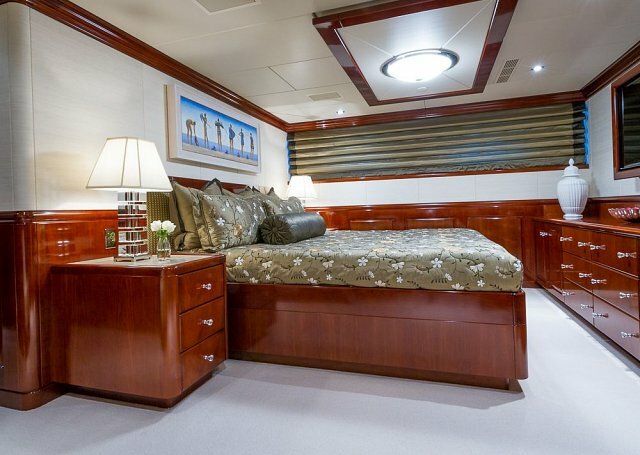 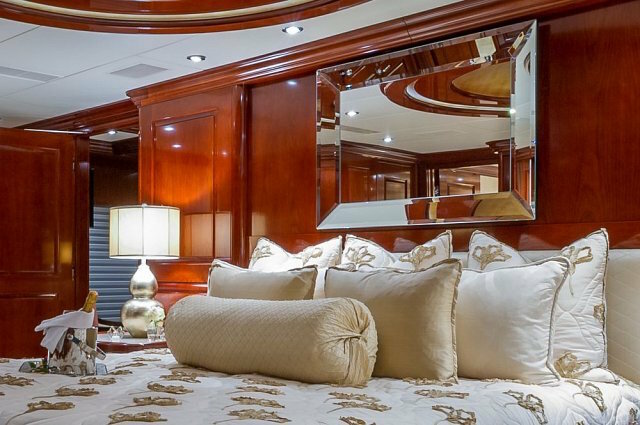 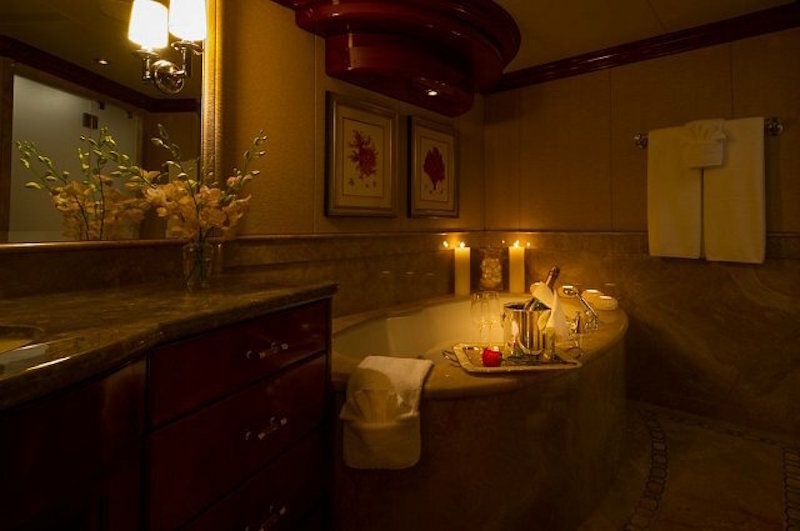 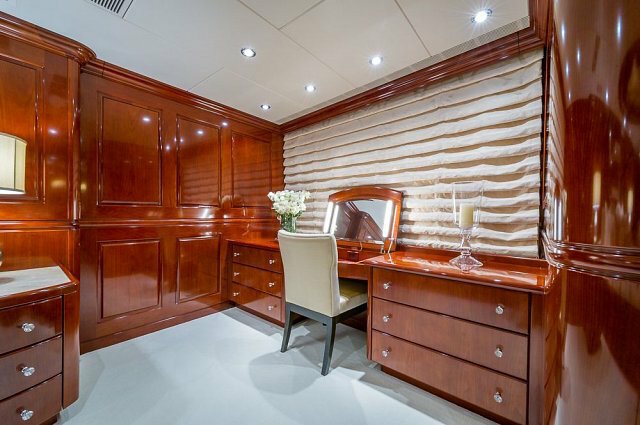 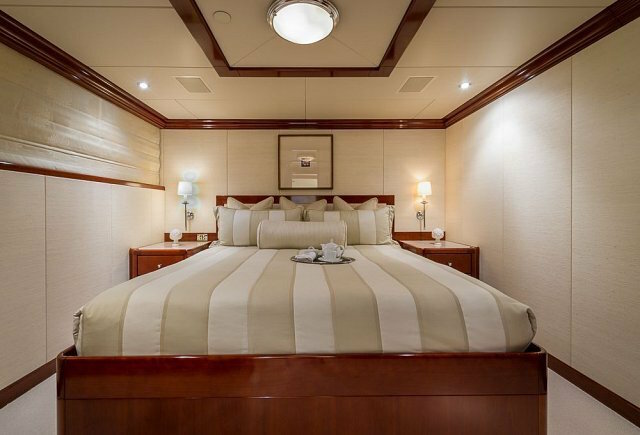 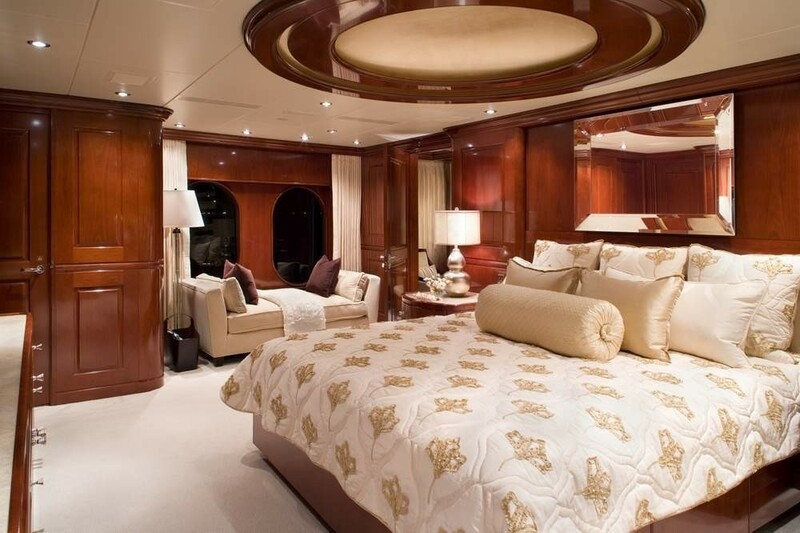 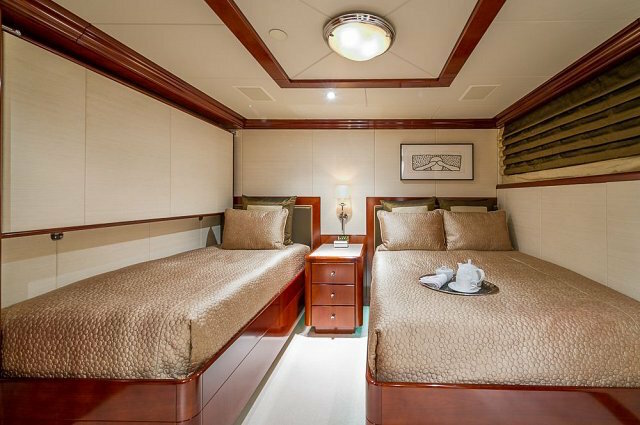 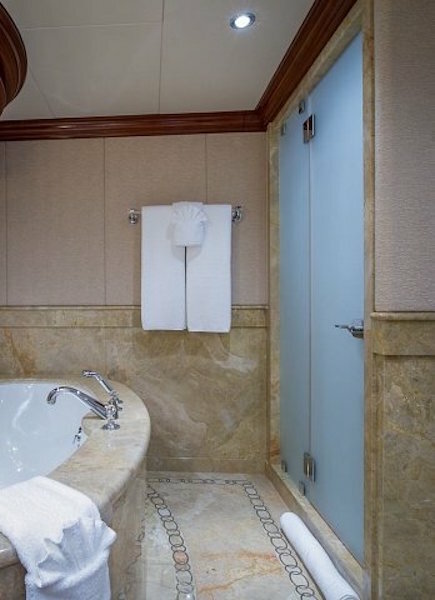 The master suite is on Main Deck and has a king, with an en-suite his/hers bathroom with tub and separate shower, comfortable sitting area, a walk-in closet from the bathroom or the stateroom and a private Owner's office. 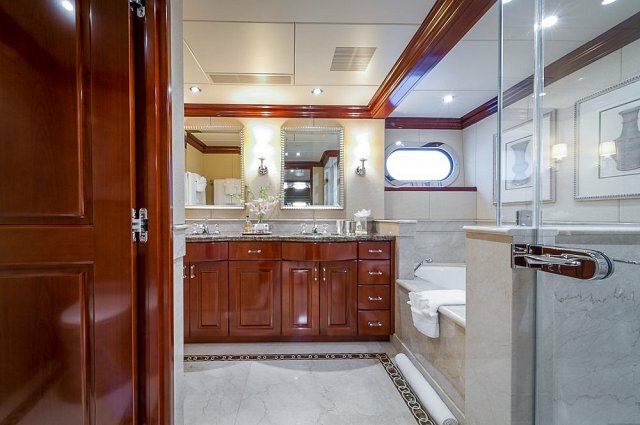 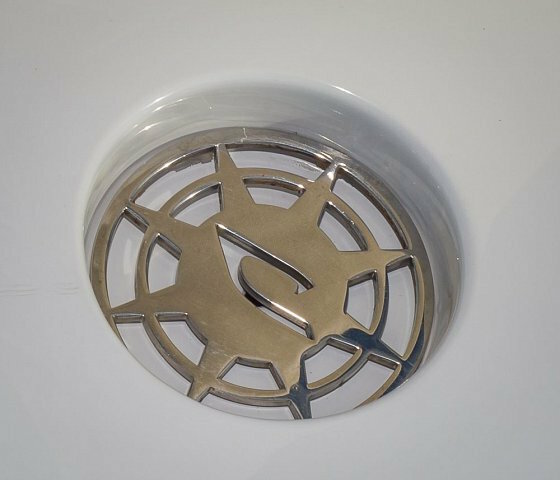 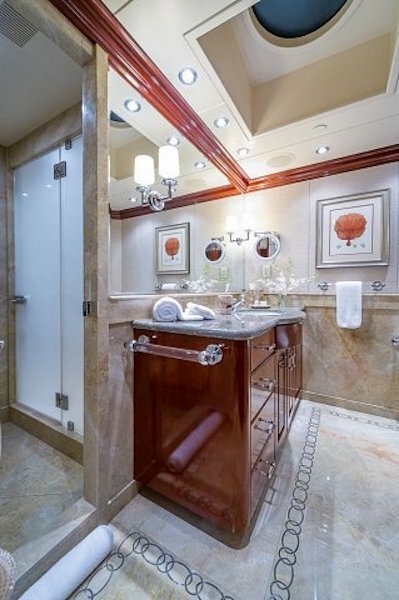 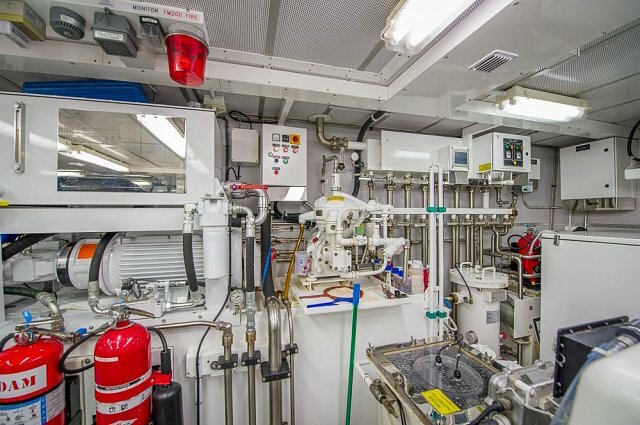 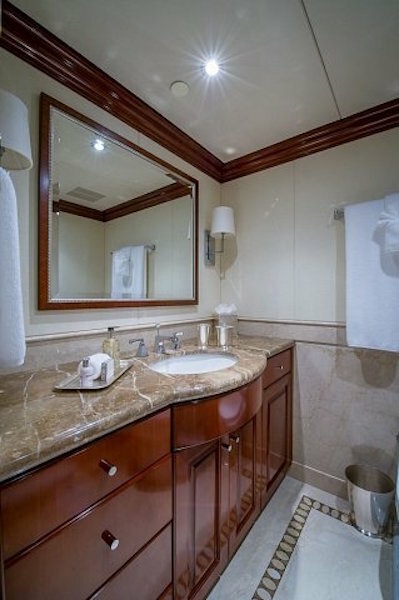 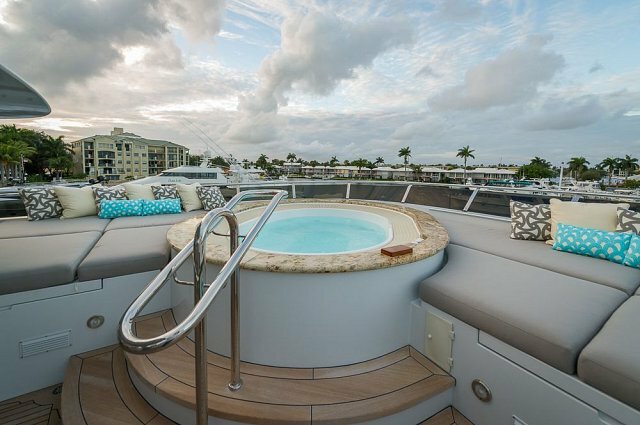 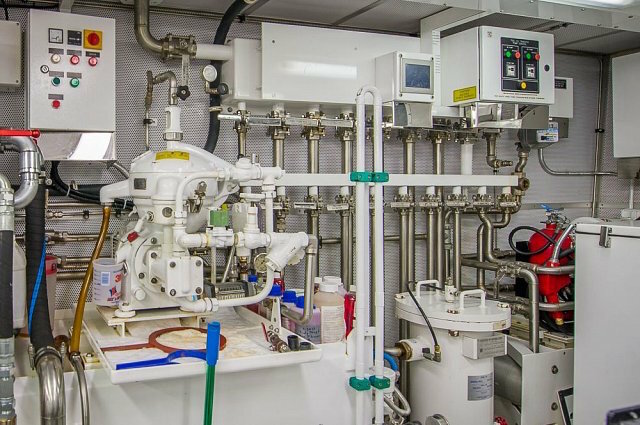 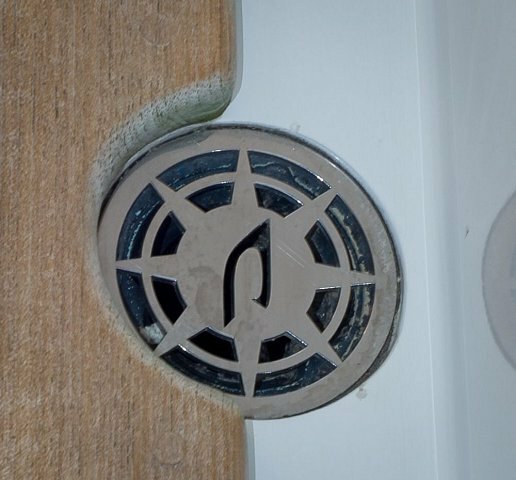 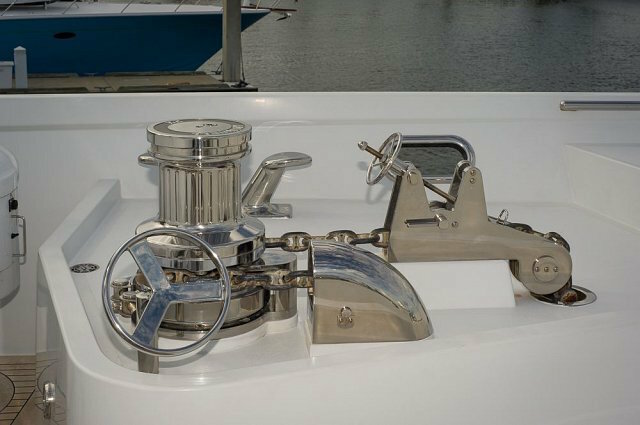 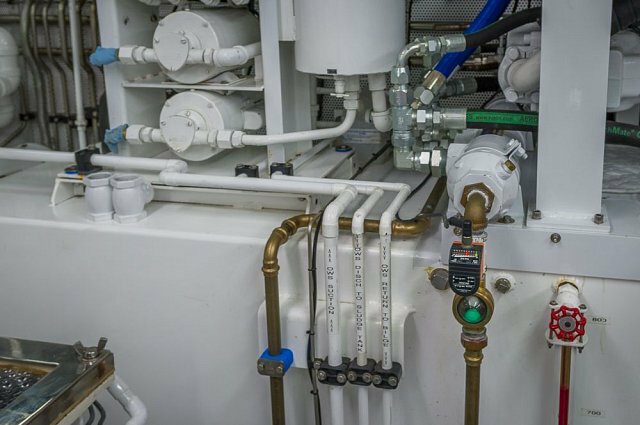 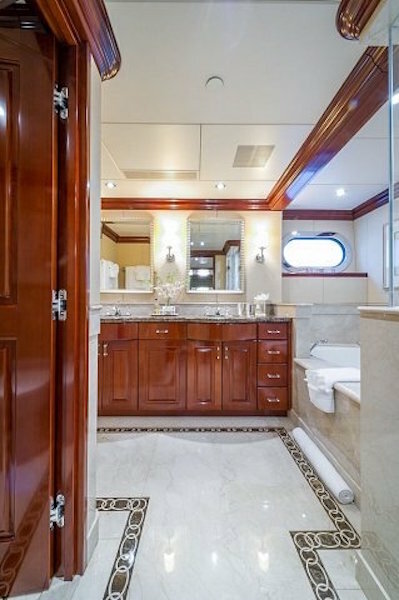 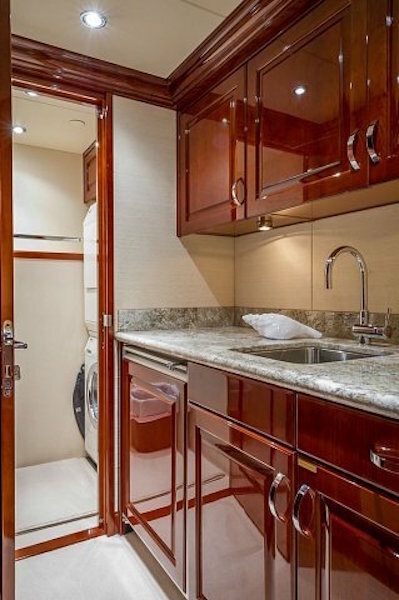 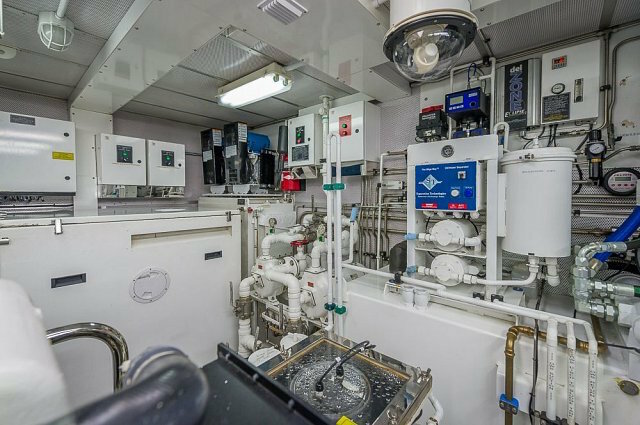 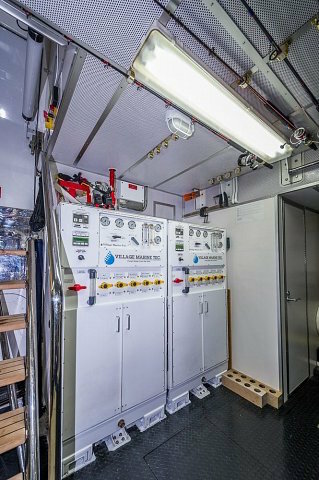 There is a VIP cabin Below Deck with a spacious bathroom with tub and shower. 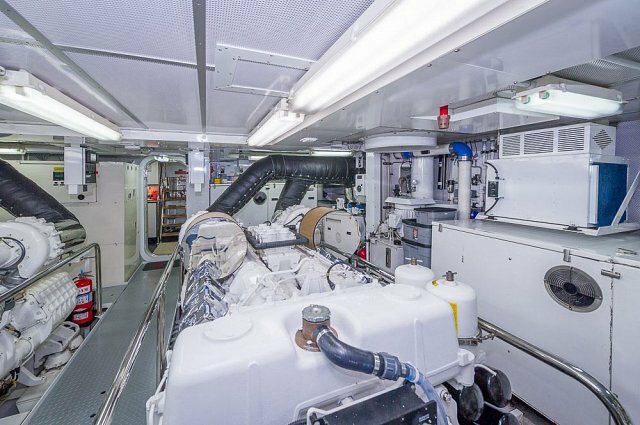 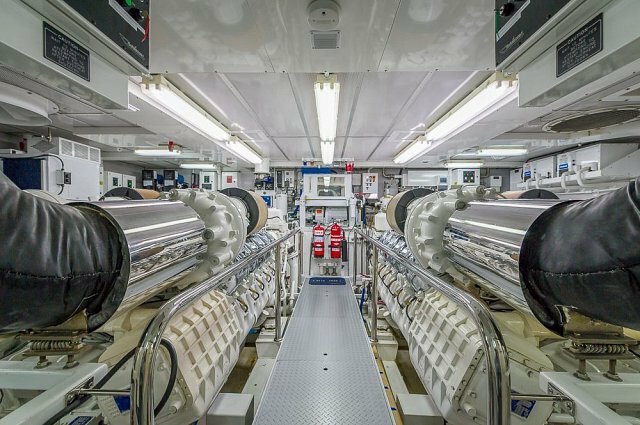 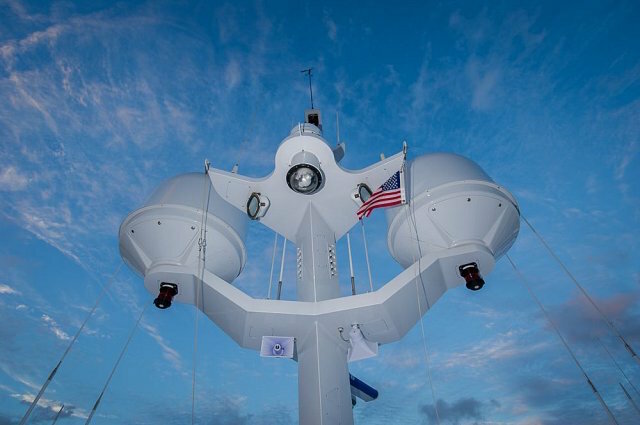 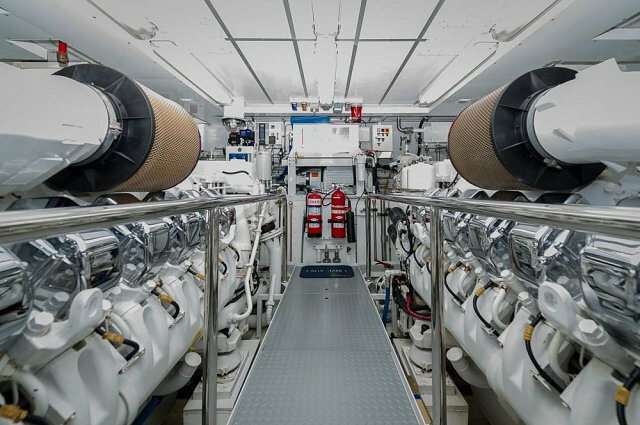 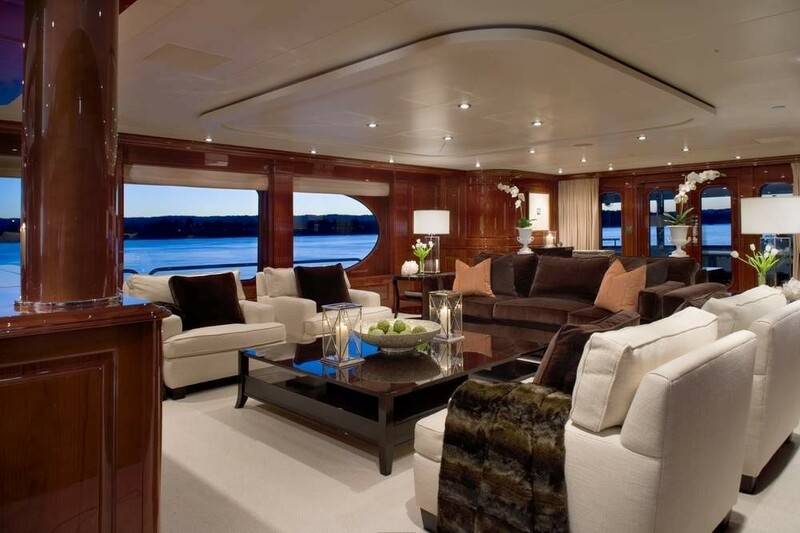 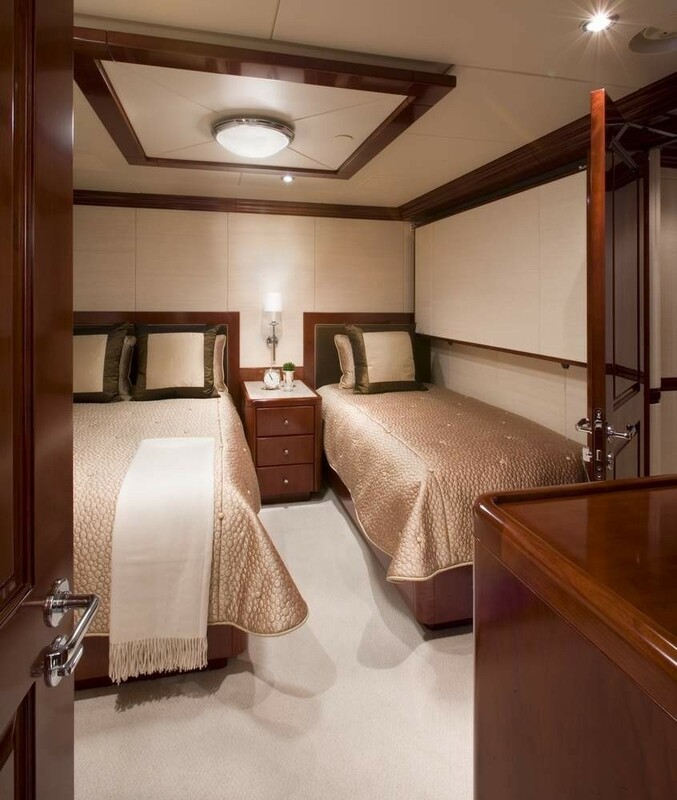 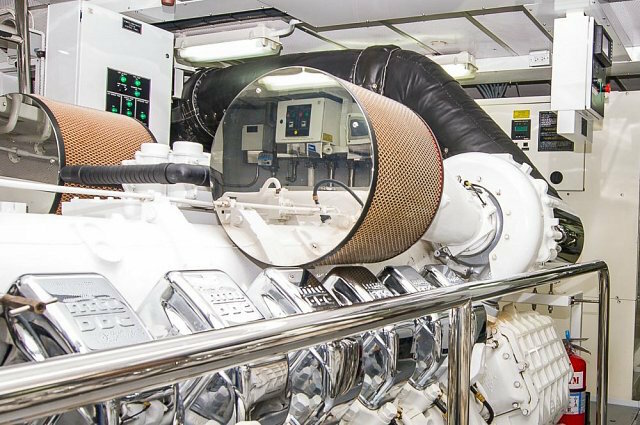 There are two double, and two twin cabins are below decks, each with an en-suite and A/V entertainment system. 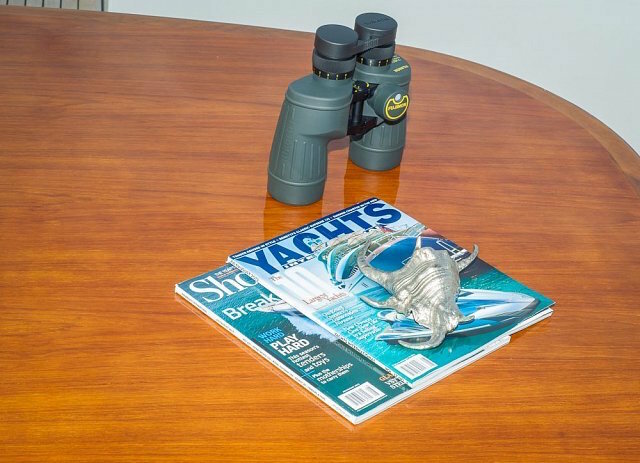 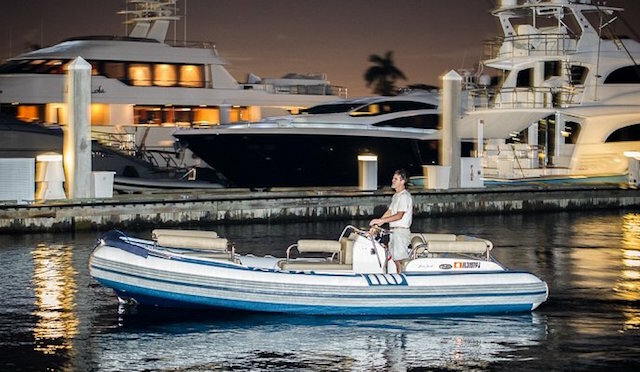 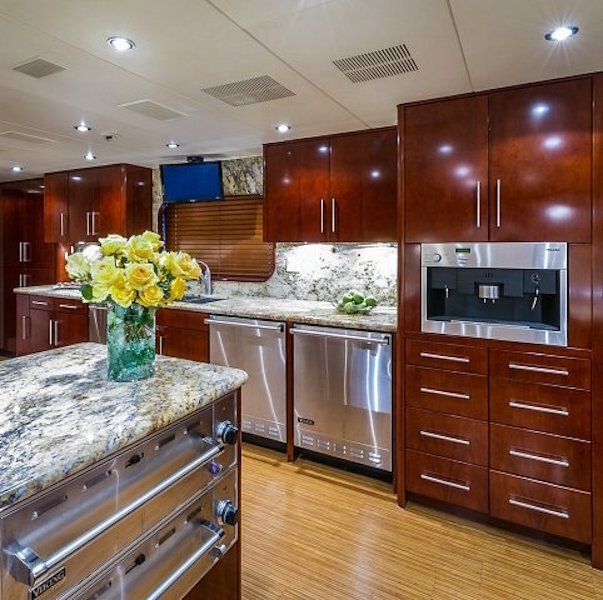 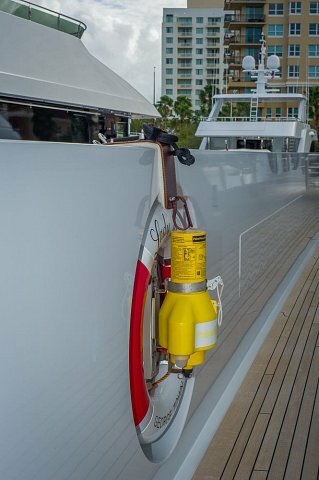 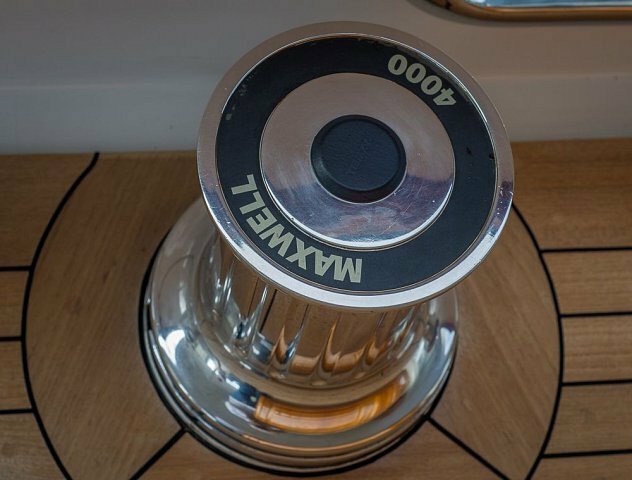 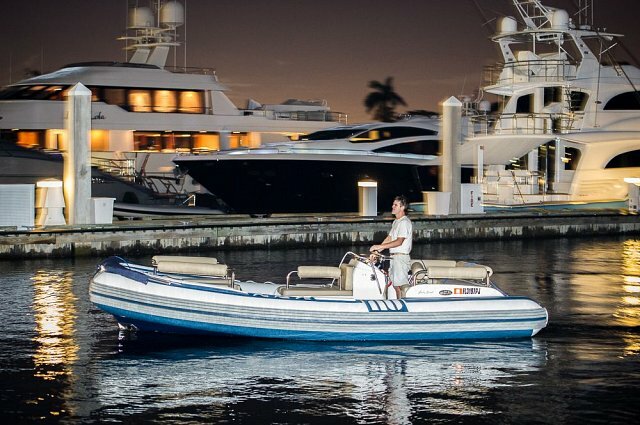 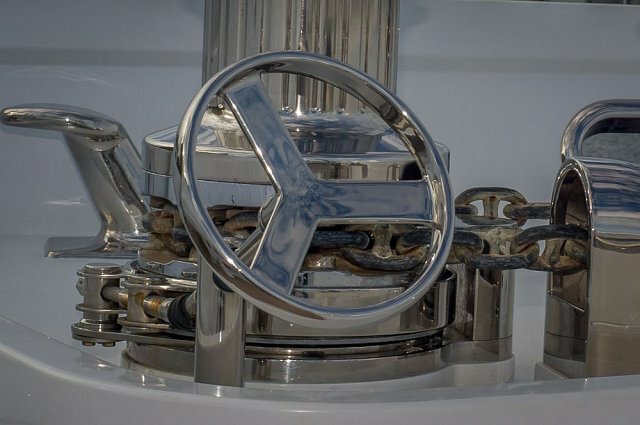 Motor yacht NO COMMENT provides yacht charter guests with the following amenities and ‘toys’: Tenders & Toys: a 19' AB Tender w/ 150hp Honda 4 stroke outboard, 15' AB Tender W/ 75hp Honda 4 stroke outboard, 2 x 3 man Sea Doo wave runners, 2 x 2 kayaks, 1 x 16' Laser Pico sailboat, Water-skis, Towable inflatable including 1 x 3 man Molicule, 16 sets snorkeling equipment, SCUBA Diving - 6 full sets gear, Dive Compressor. 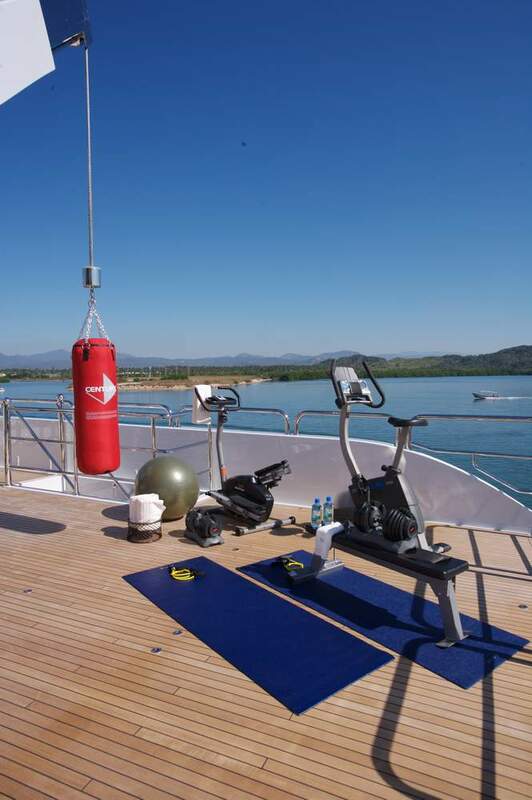 EXERCISE EQUIPMENT: Stationary Bike, Elliptical Stepper , Boxing bag and gloves, Bowflex Selectex Dumbbells , 2 Pilates mats + ball, Weight Bench. 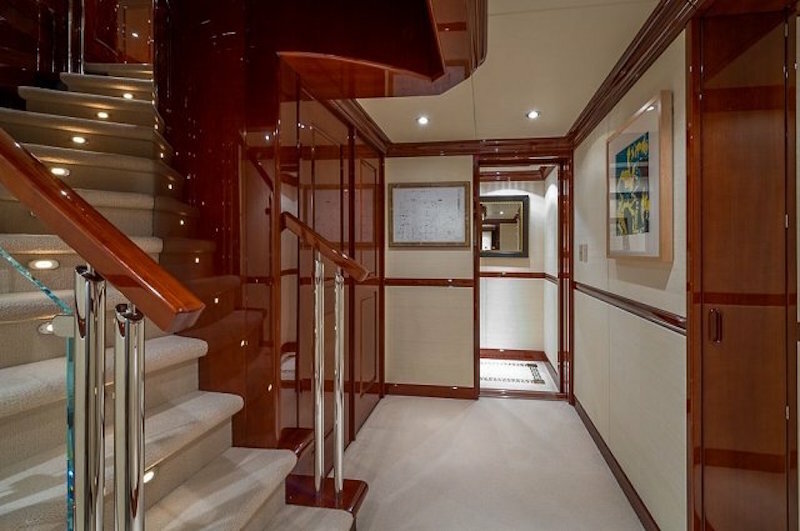 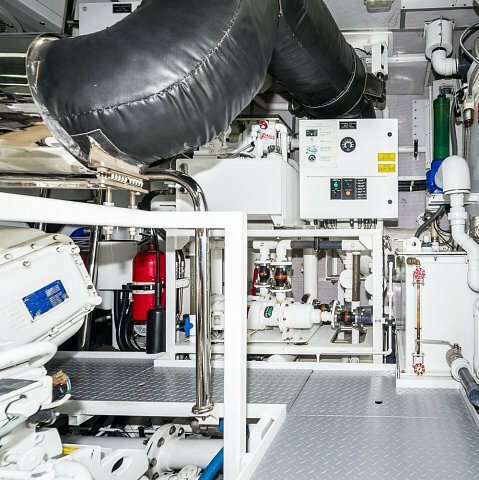 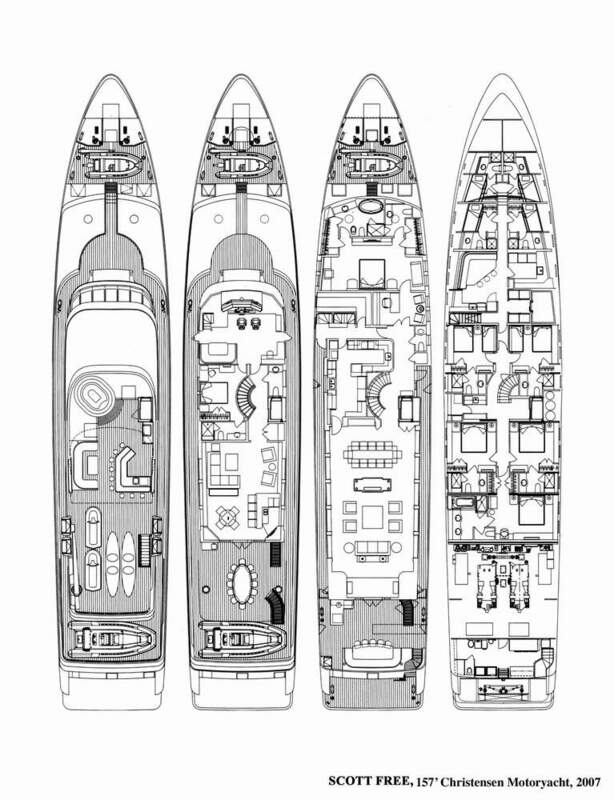 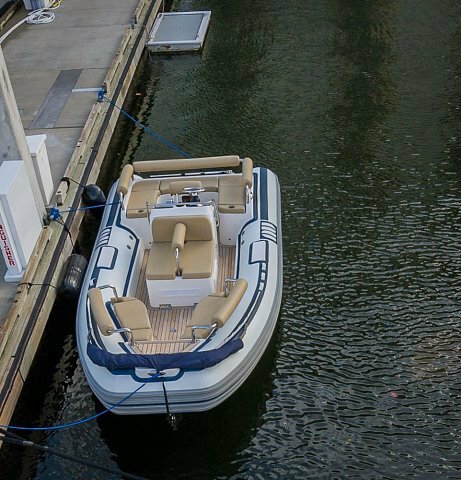 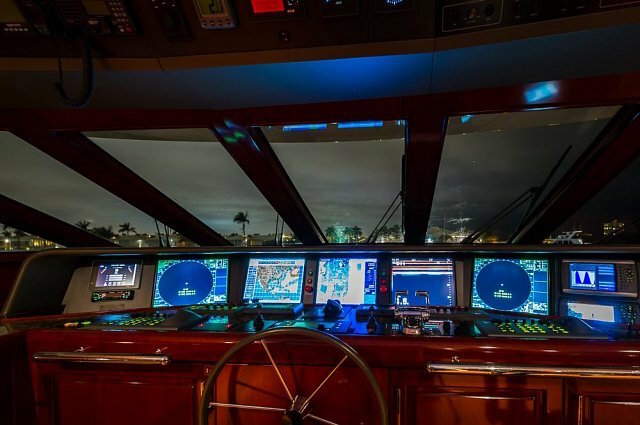 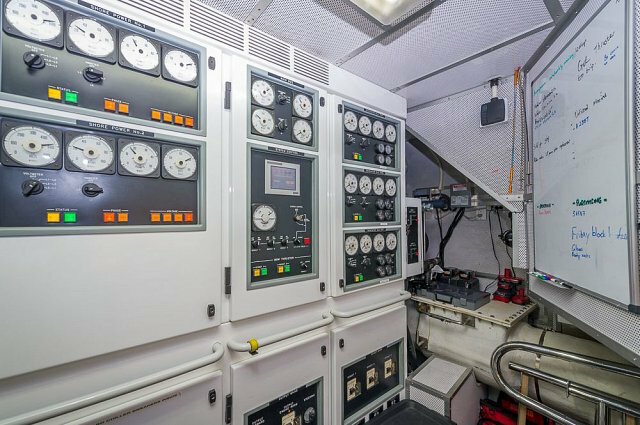 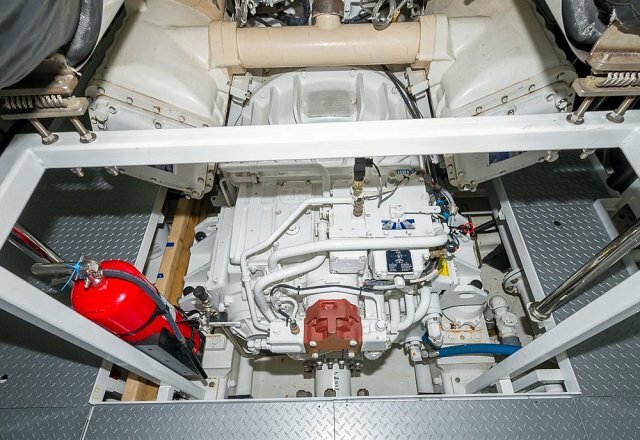 Air Conditioning, Stabilizers: Naiad 520, High Speed Cruising is 15 knots. 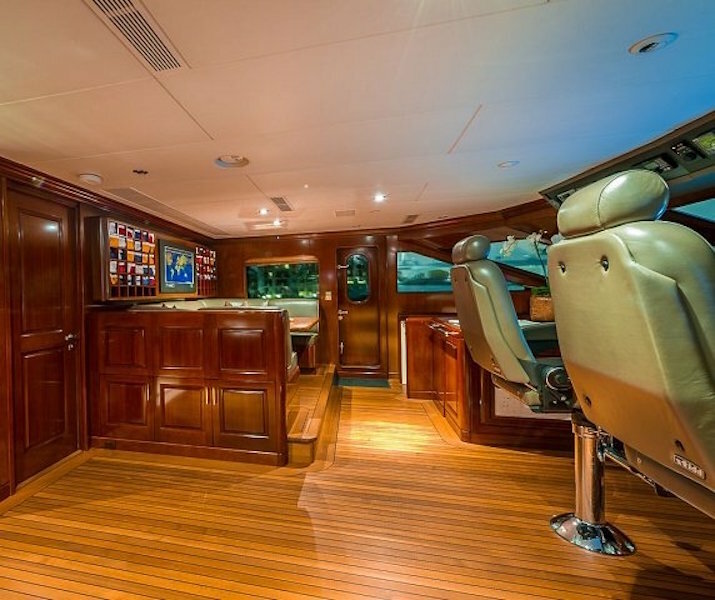 Audio Visual Equipment and Deck Facilities: SAT TV, Crestron Controllers (one touch panels) controls all audio/video equipment, Central entertainment center with DVD'd and CD's, Docking station for IPOD. 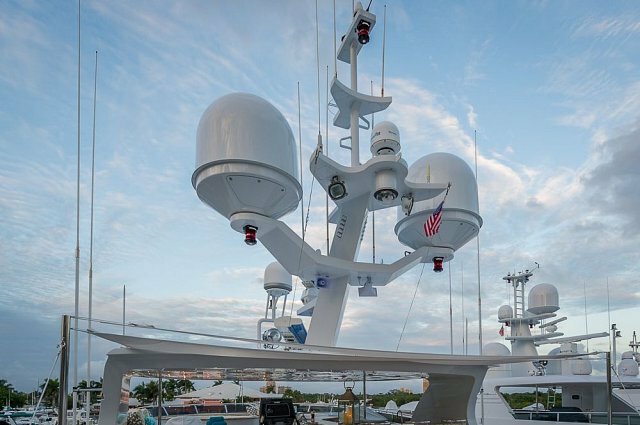 Communications: VSAT Internet - 24/7 unlimited data. 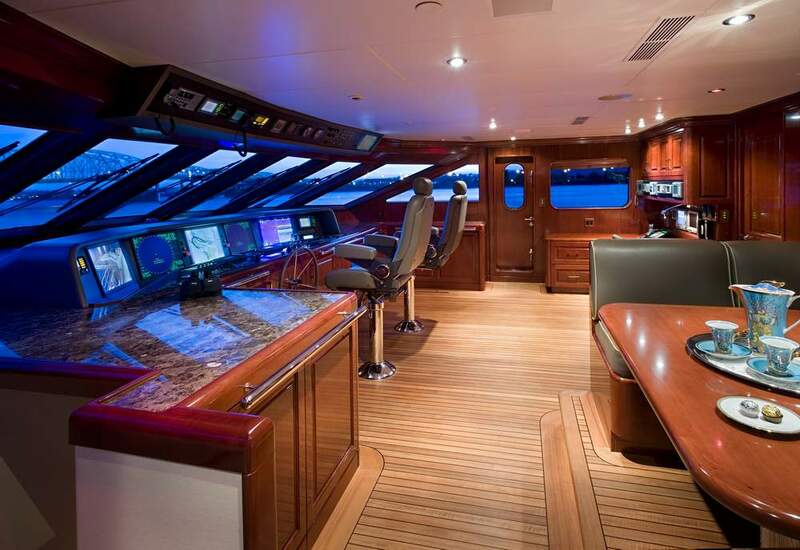 Wireless throughout. 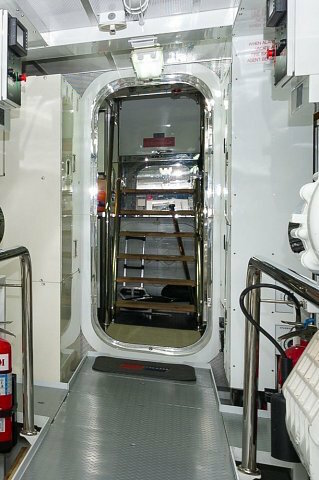 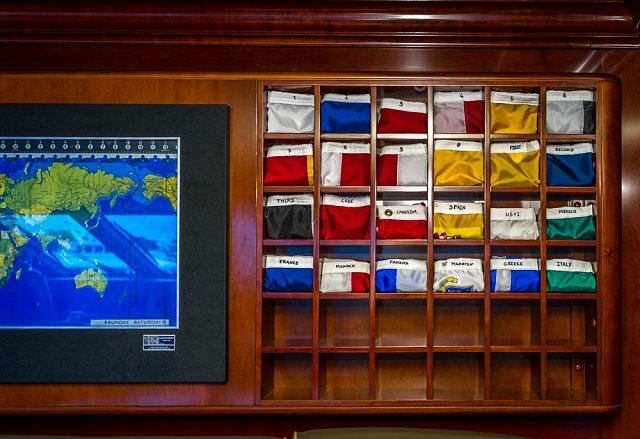 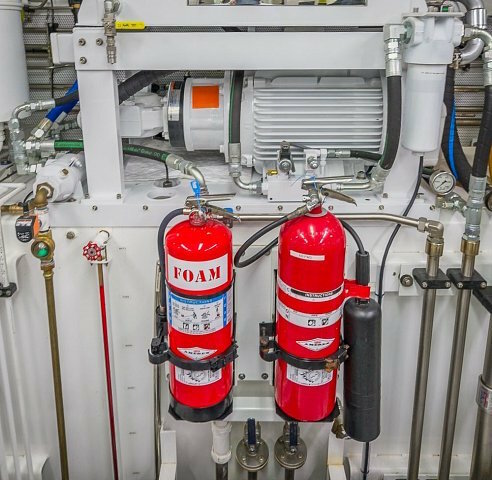 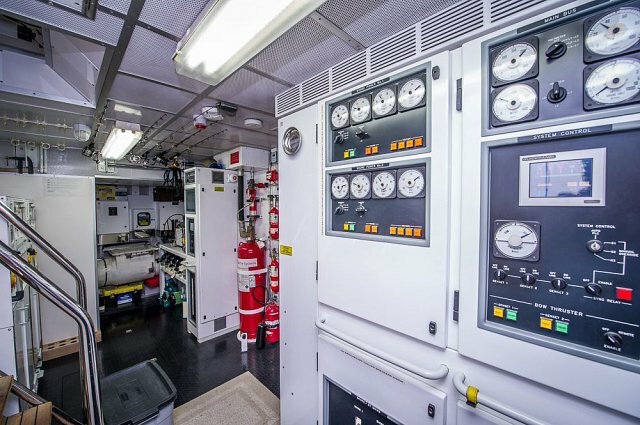 Safety and Security Equipment: 4 x 16 person life rafts, EPIRB, SOLAS life jackets, life rings, firefighting equipment and fire and smoke detectors, handheld GMDSS VHF, search and rescue transponder SART, gas leak detection, and rescue tender. 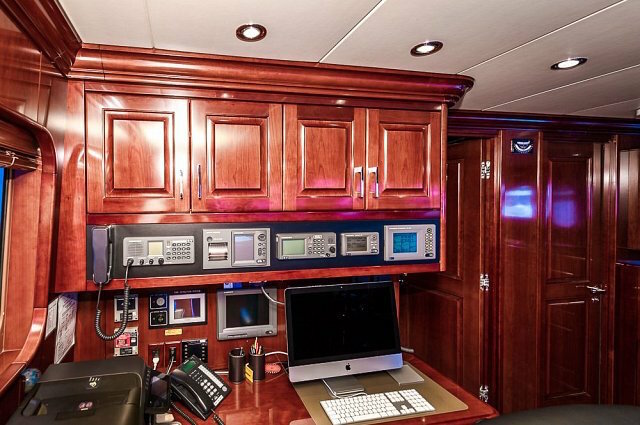 7 surveillance cameras, electronically monitored external doors.